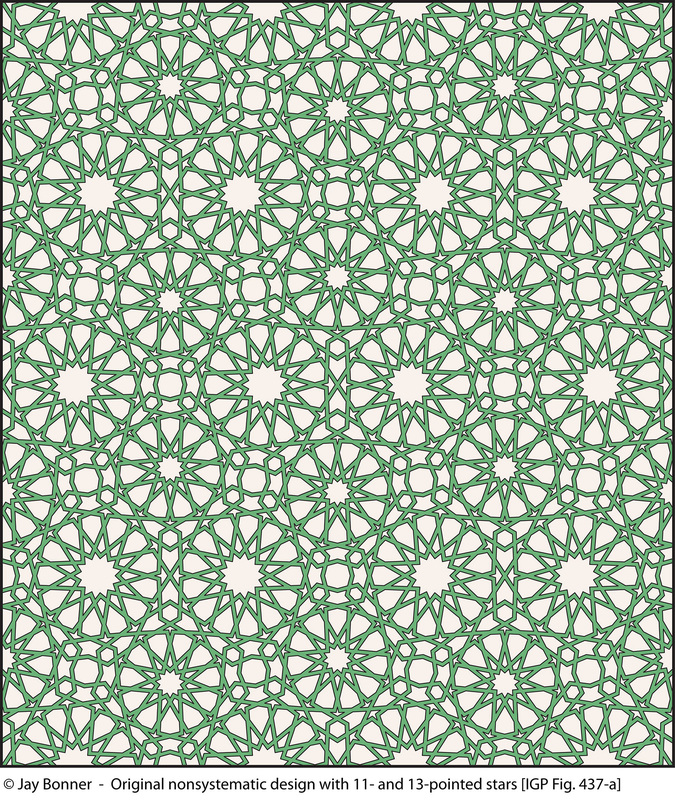 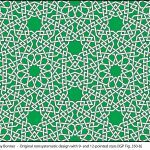 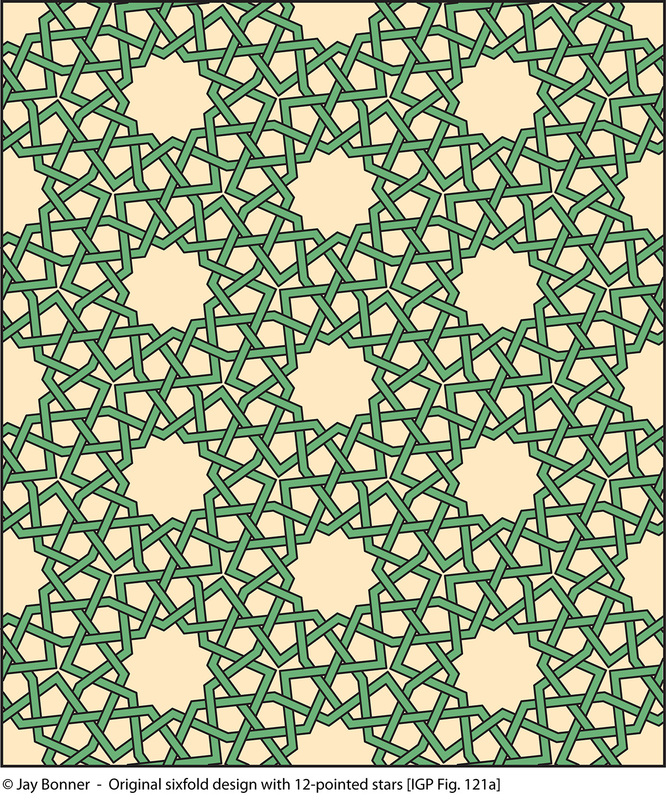 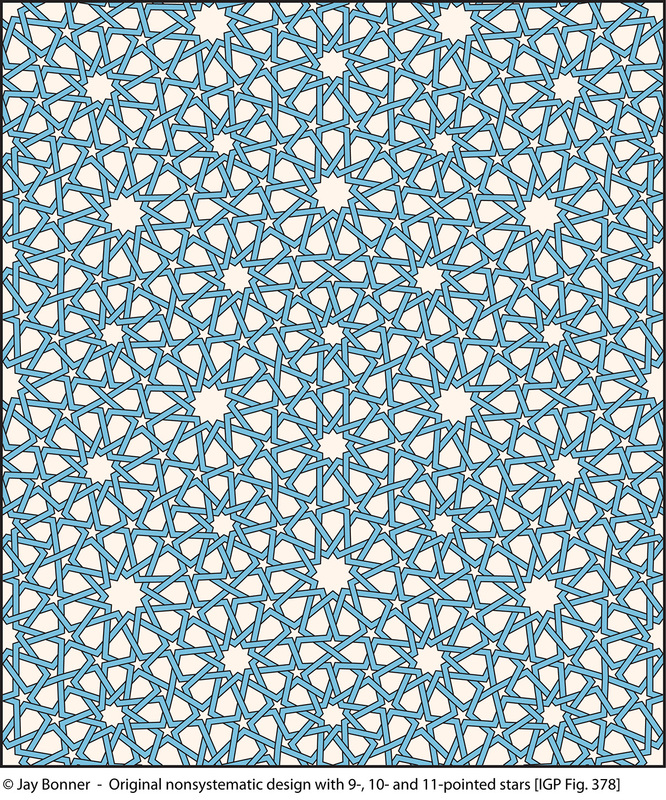 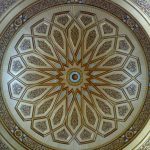 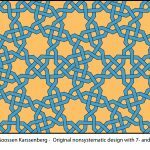 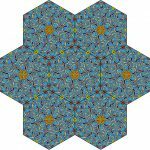 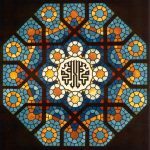 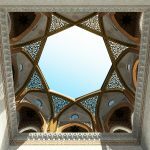 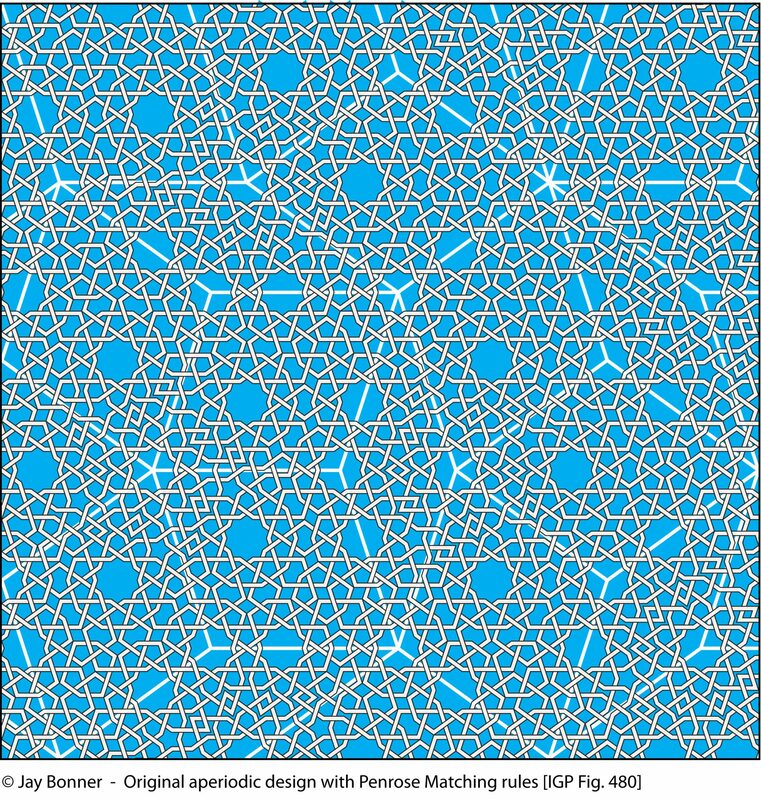 Jay Bonner designed the interior ornament for the 27 Sliding Domes for the Prophet’s Mosque Expansion Project, Medina, Saudi Arabia (al-Masjid al-Nawabi): 1990-93. Each dome has an approximate diameter of 20 meters, and is engineered to slide open and closed, thereby turning a domed chamber into an open courtyard. 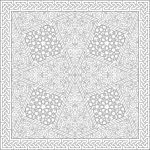 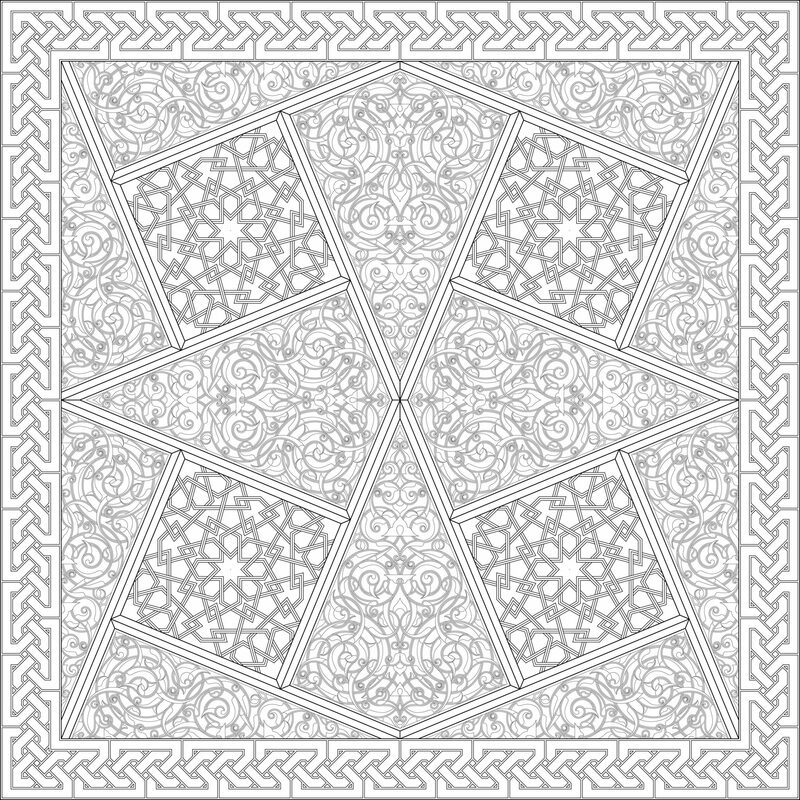 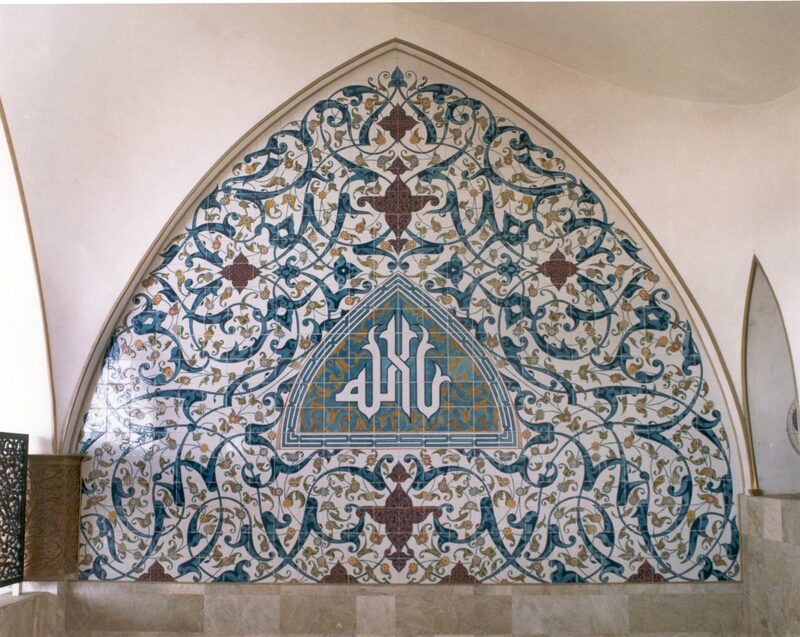 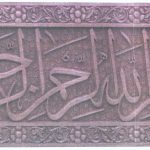 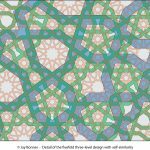 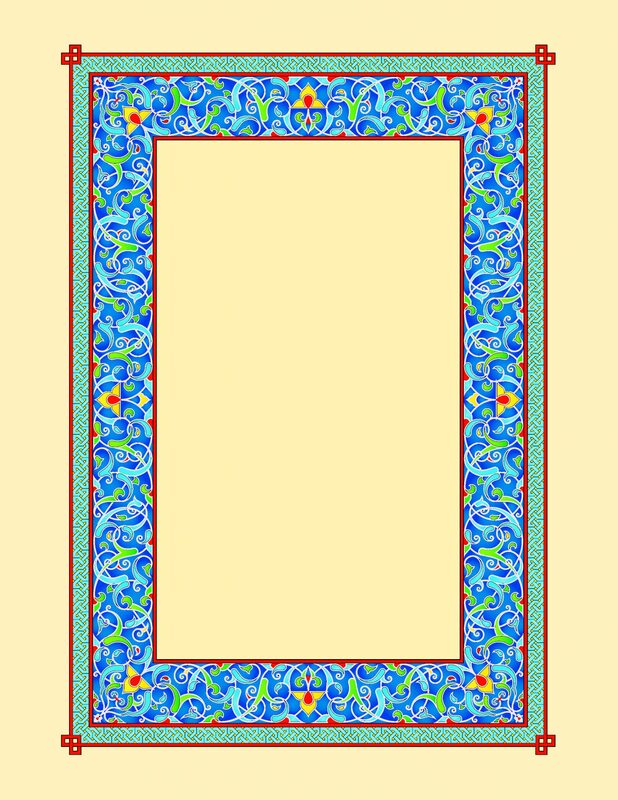 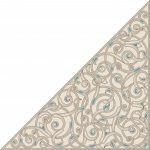 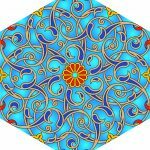 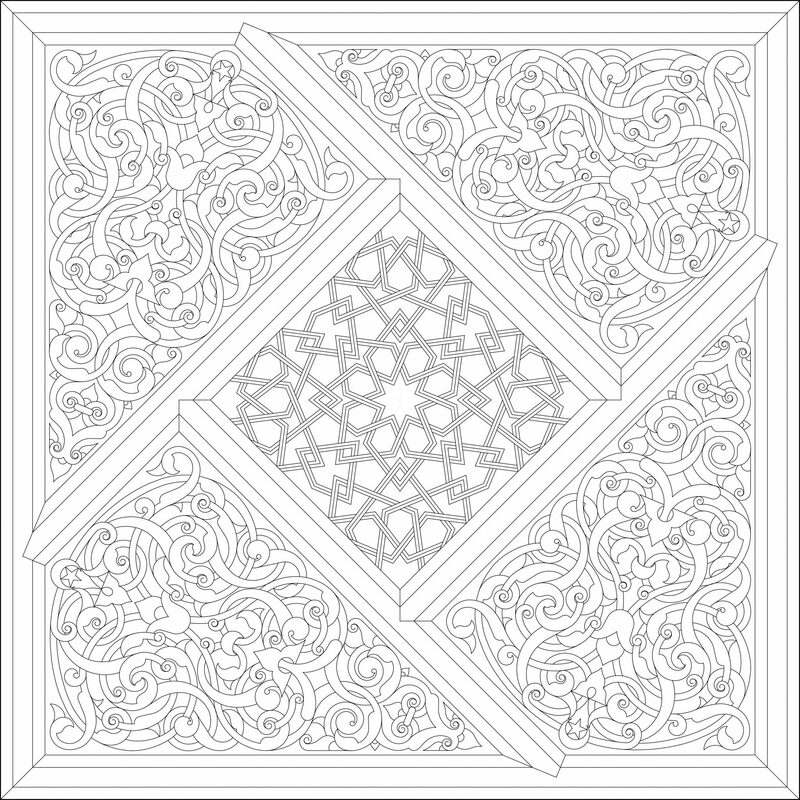 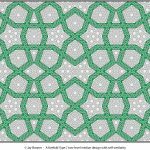 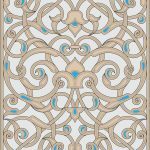 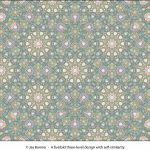 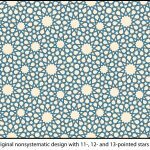 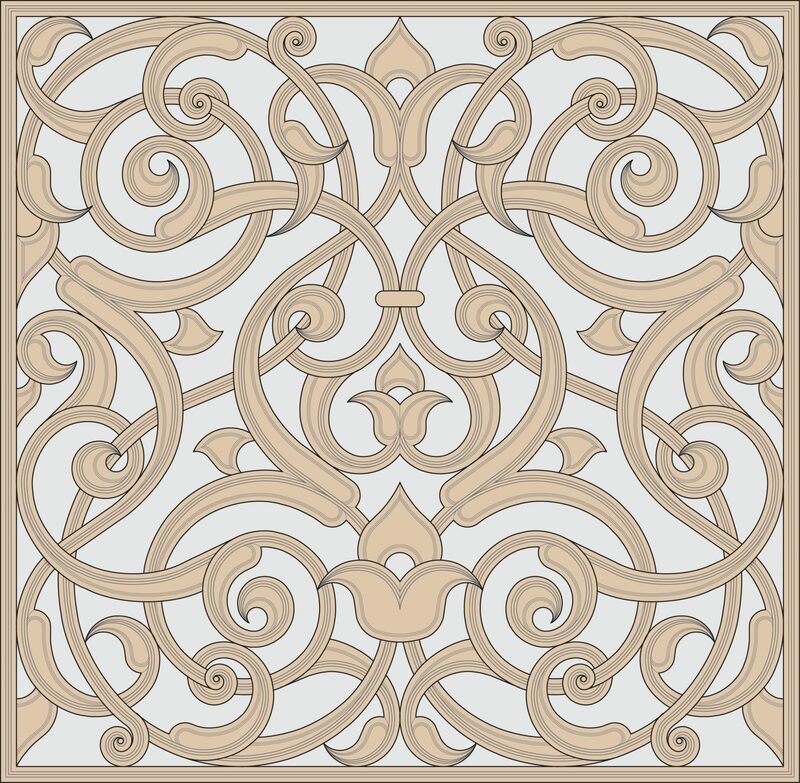 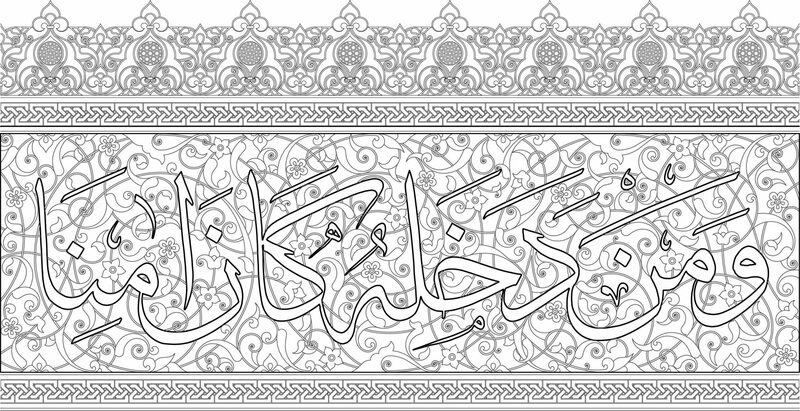 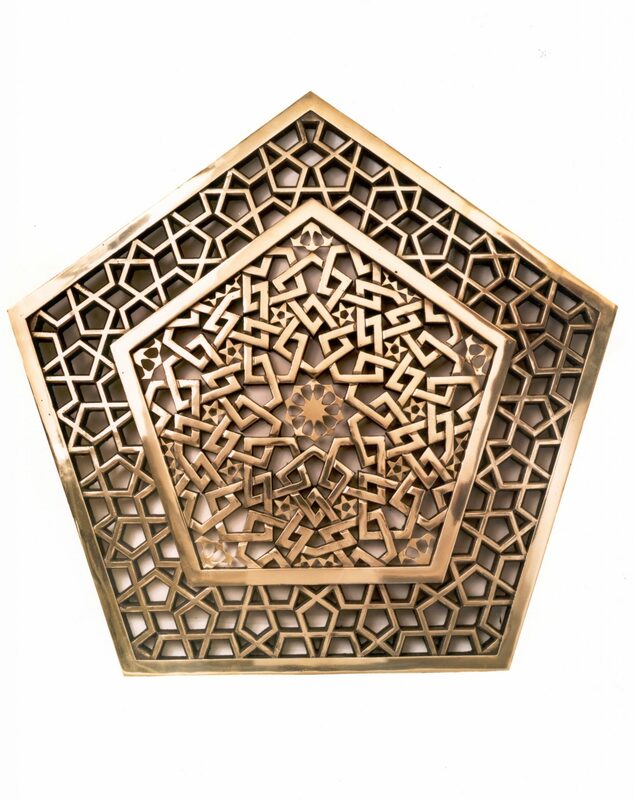 This commission included the development of a pan-Islamic floral style that would be recognizably Islamic to all pilgrims from all areas of the world, yet not associated with the ornamental style of any particular epoch or Muslim culture. 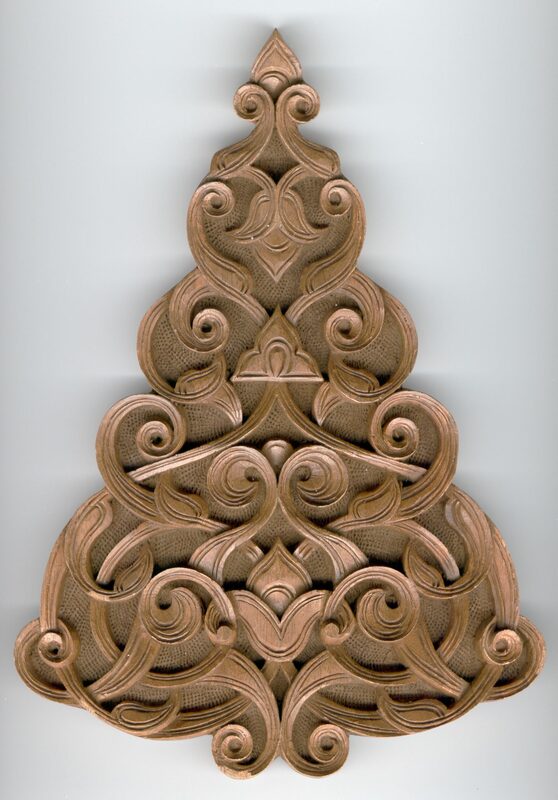 The ornament is elaborate and is comprised of hand-carved floral panels produced in Atlas cedar from Morocco. 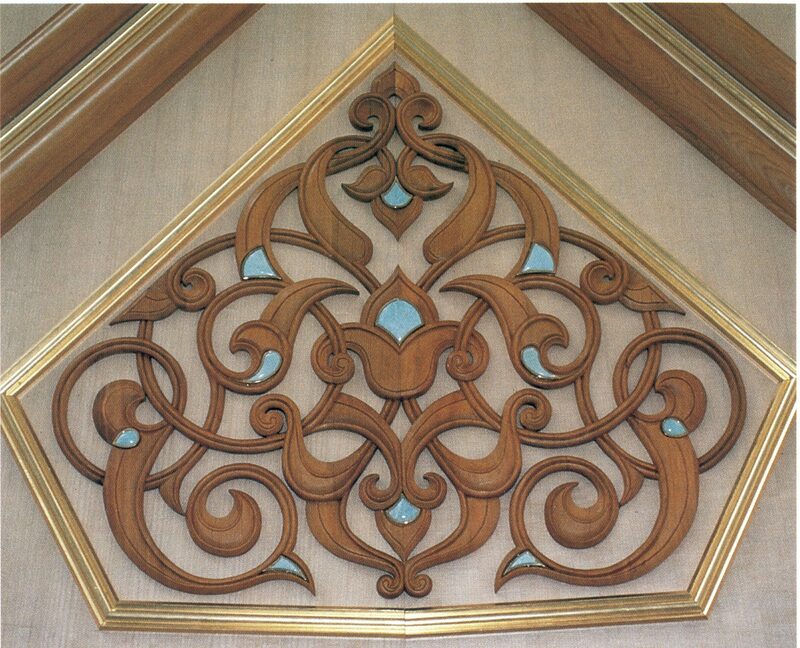 These are inlaid with semi-precious amazonite stones set in gold-plated bezels. 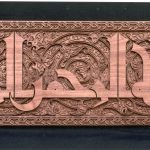 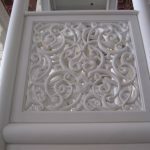 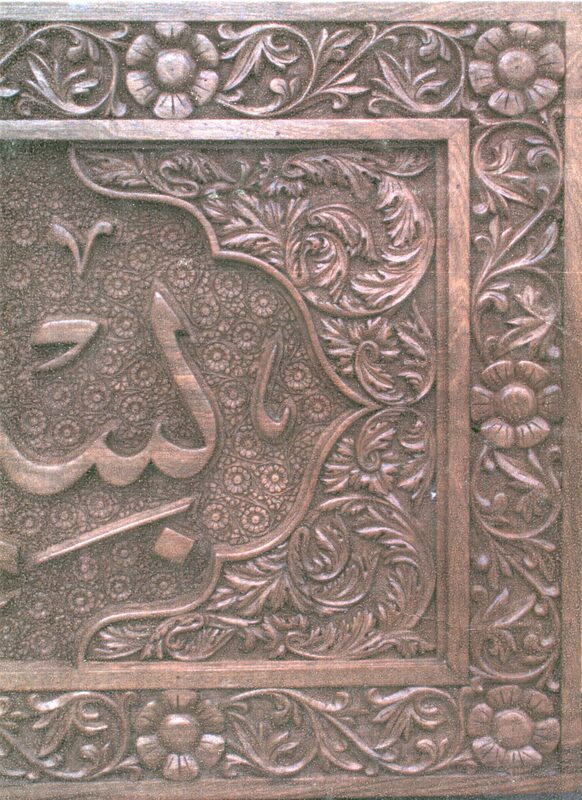 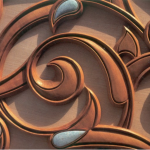 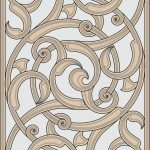 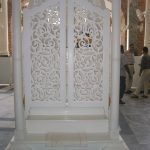 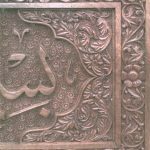 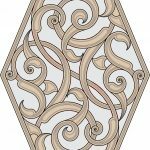 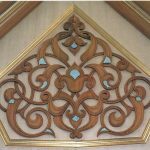 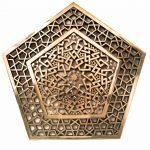 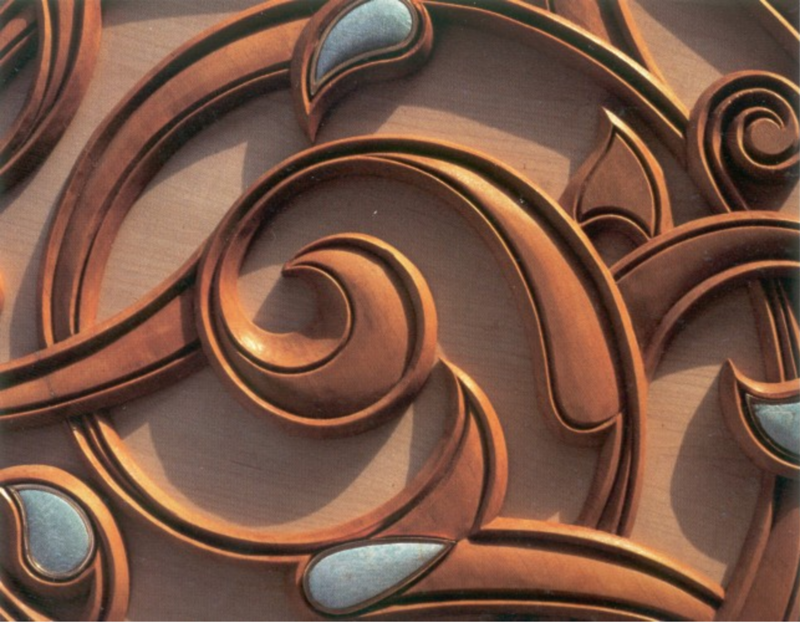 The wood carving for this project was undertaken in Morocco where some 150 wood carvers were employed for over a year to complete the project. 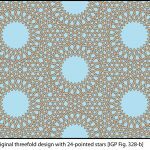 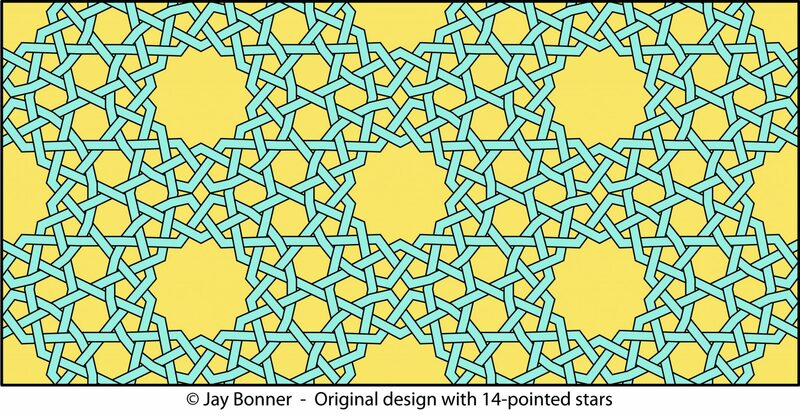 Jay Bonner also provided quality control during the manufacturing of the domes. 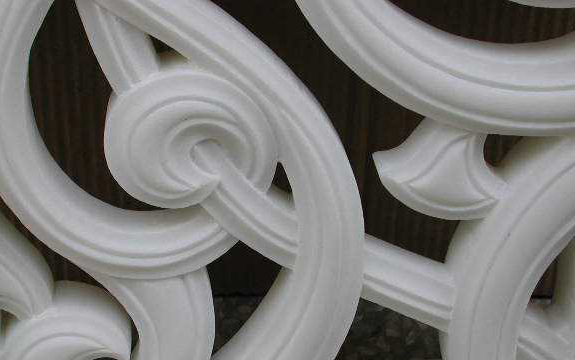 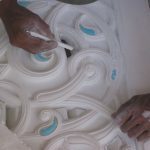 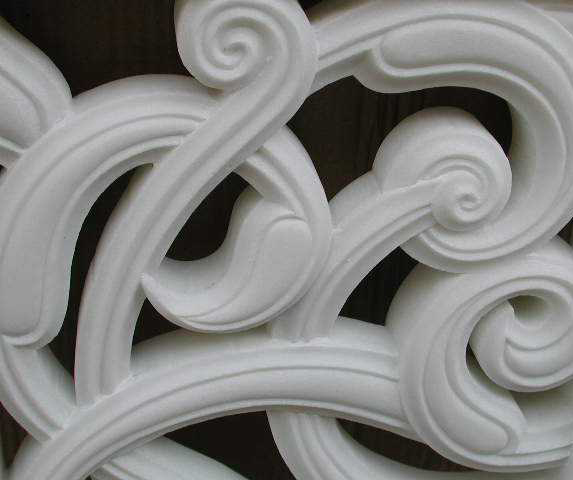 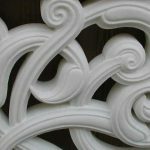 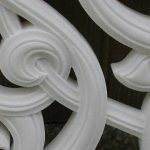 Carving detal from the Sliding Domes. 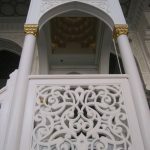 Carving Detail from the Sliding Domes. 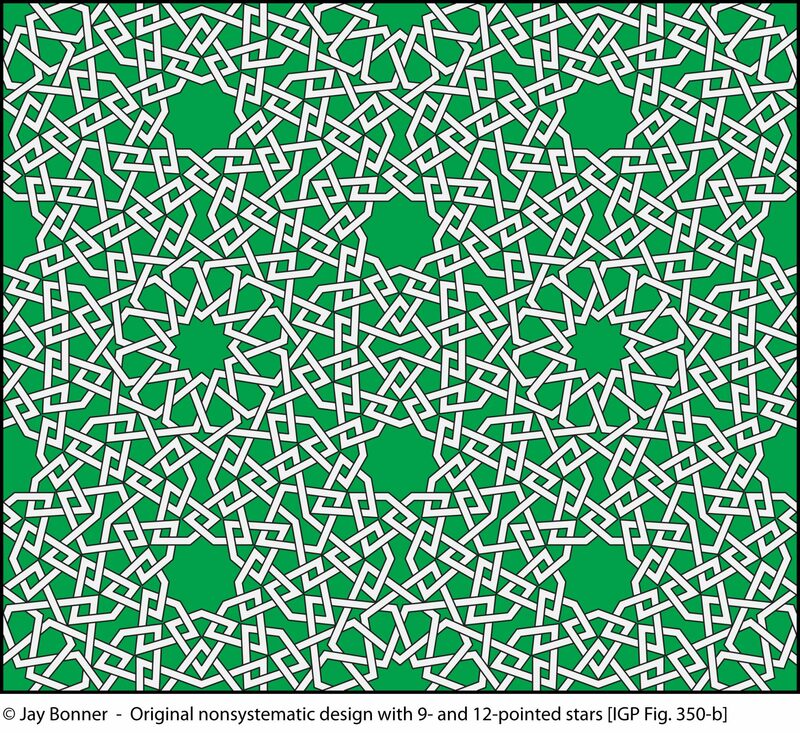 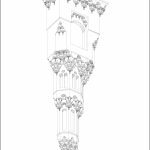 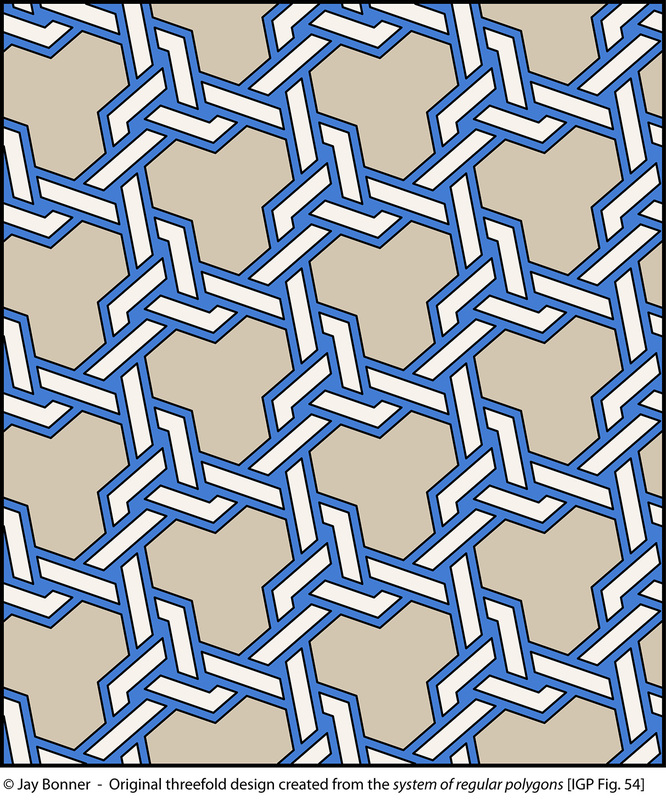 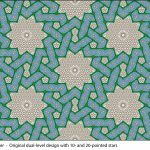 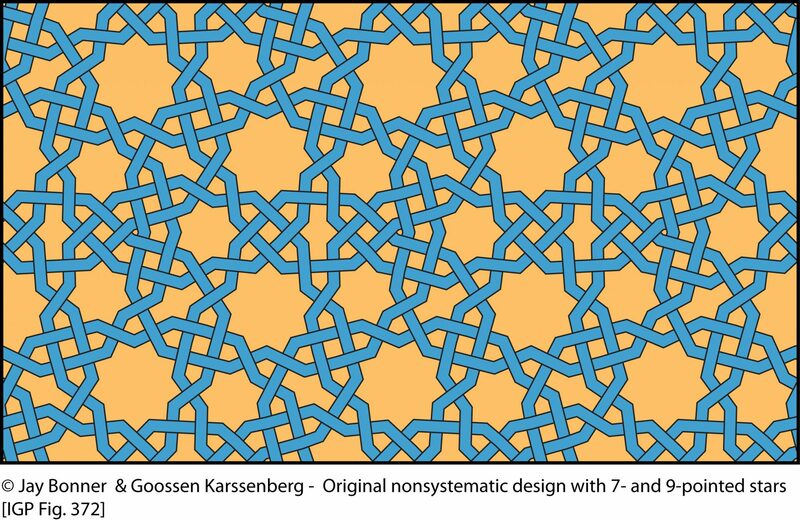 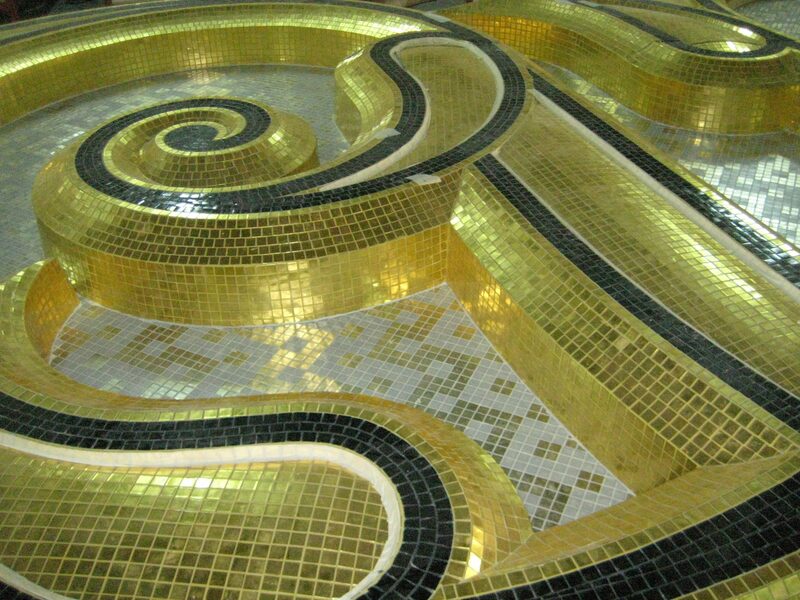 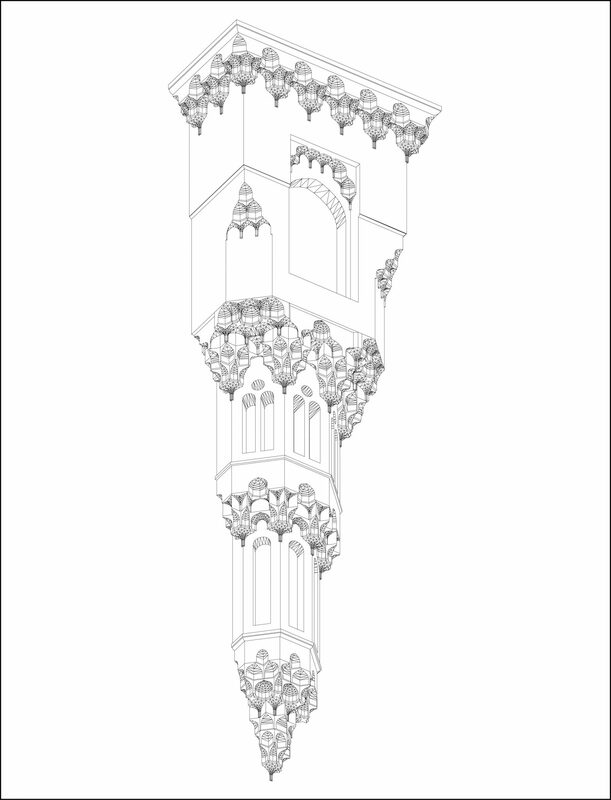 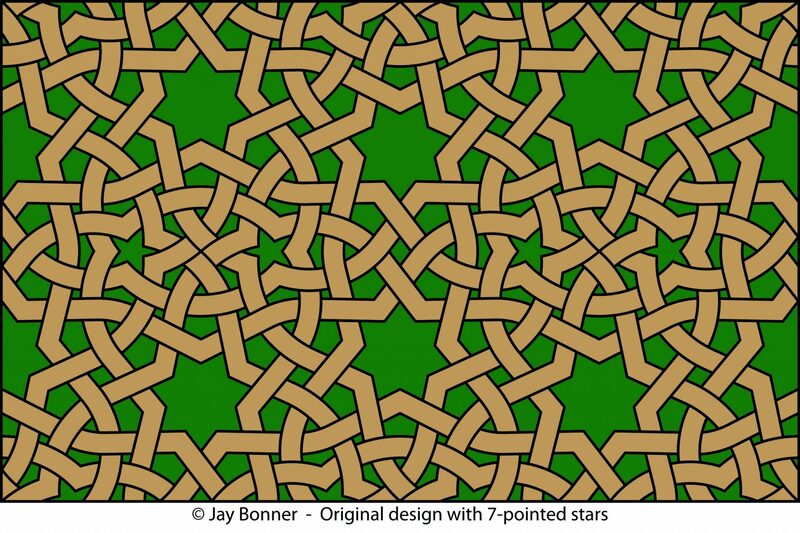 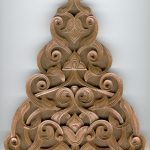 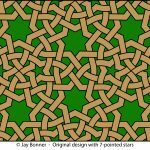 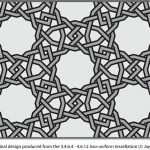 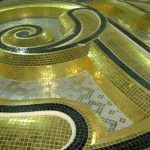 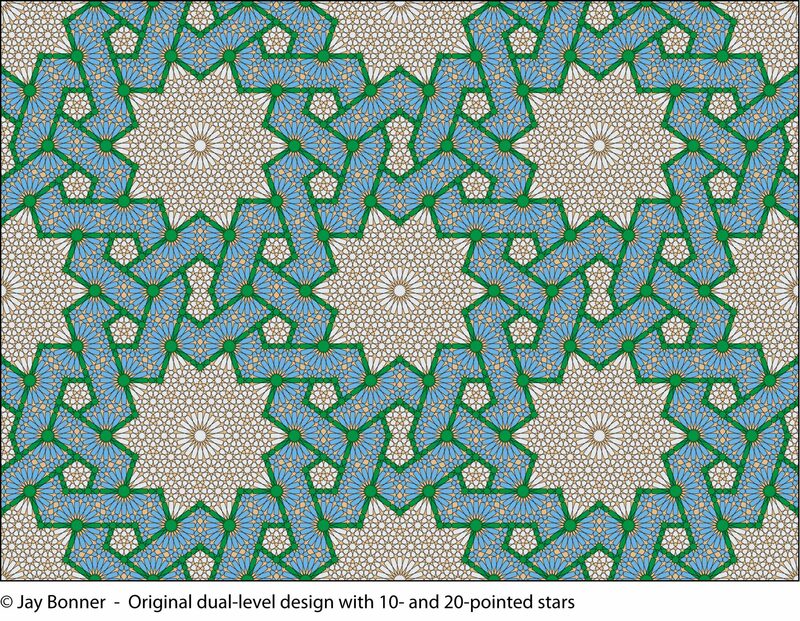 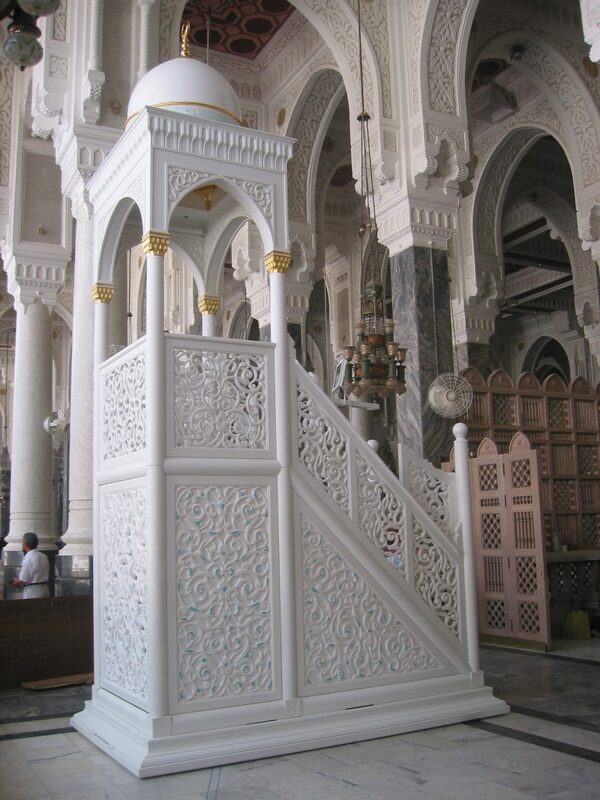 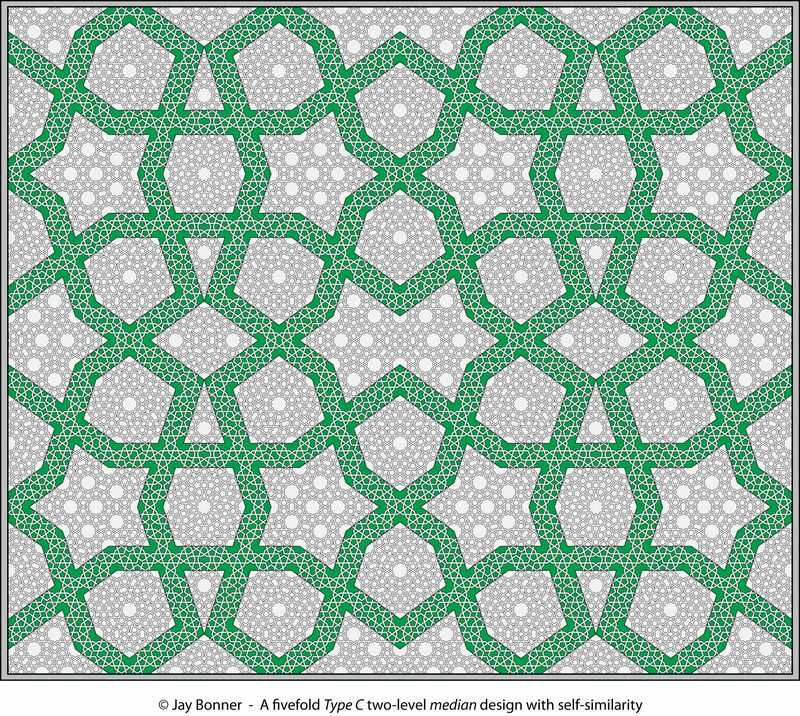 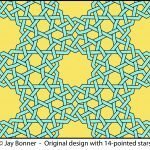 Jay Bonner designed the ornament for the Kaaba Minbar for the Courtyard of the Grand Mosque (al-Masjid al-Haram) in Mecca, Saudi Arabia: 2002. 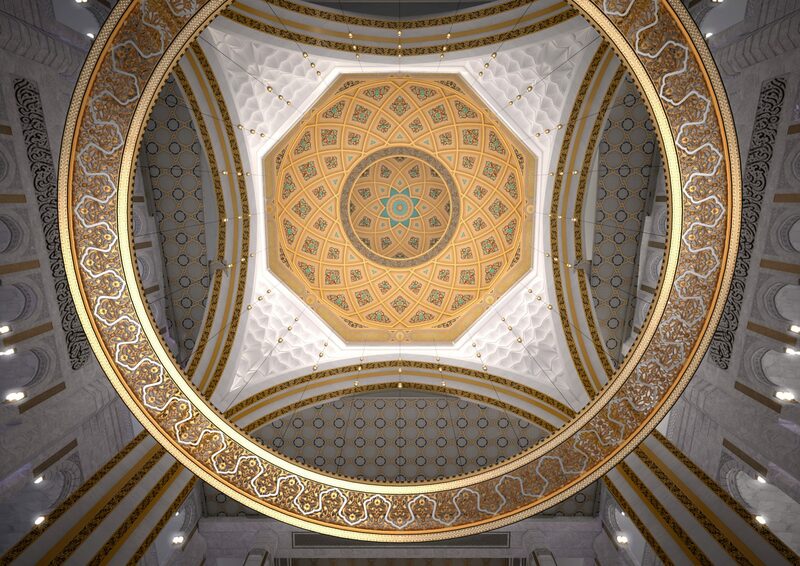 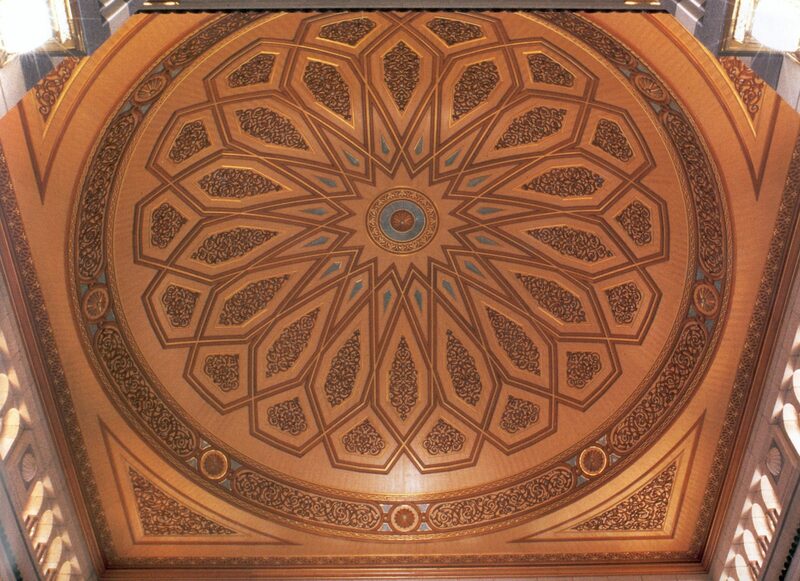 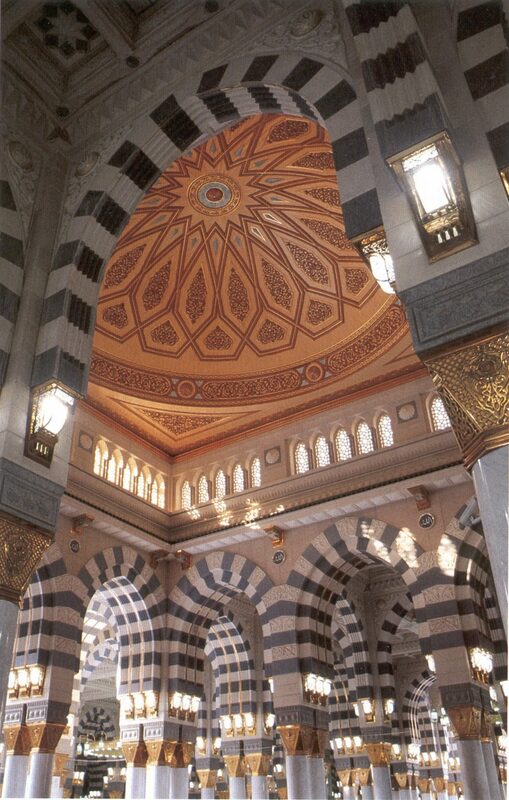 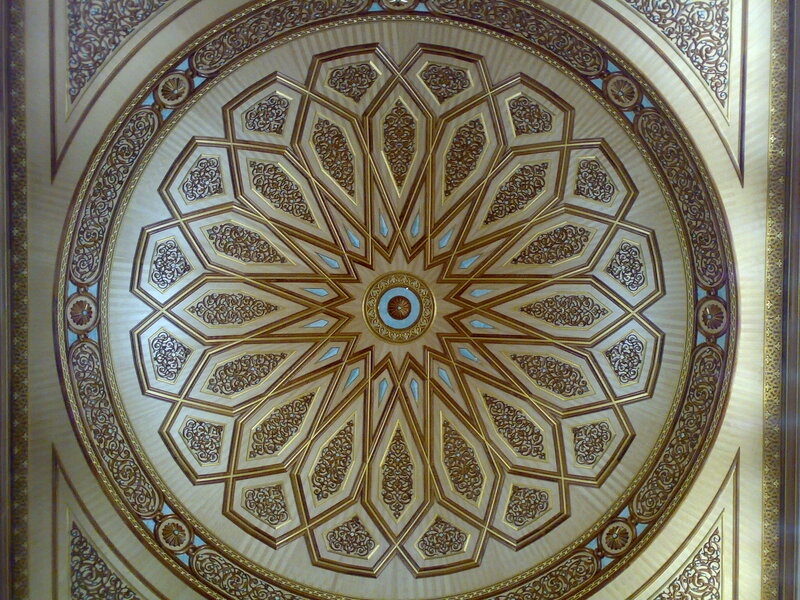 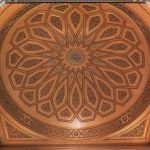 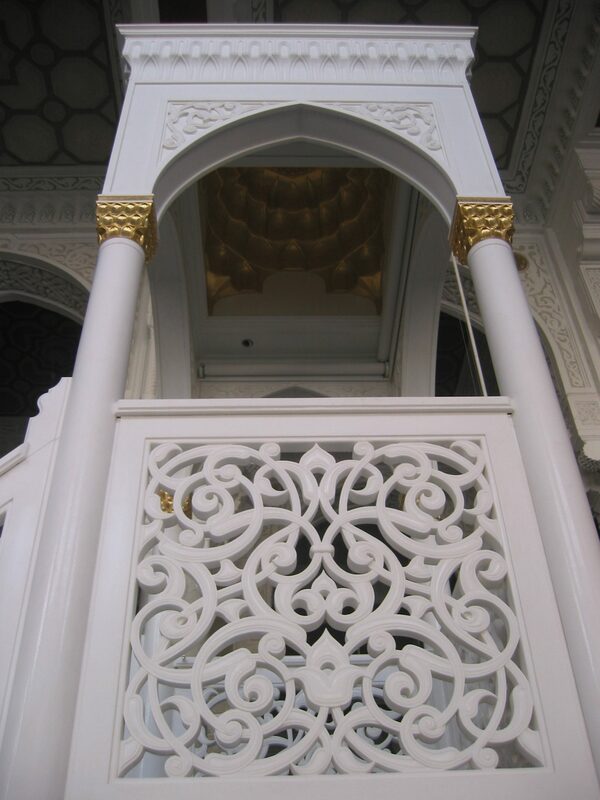 The extensive floral ornamentation is in the pan-Islamic style first developed by Jay Bonner for the 27 Moving Domes for the Prophet’s Mosque in Medina. 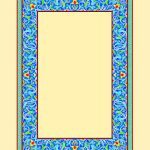 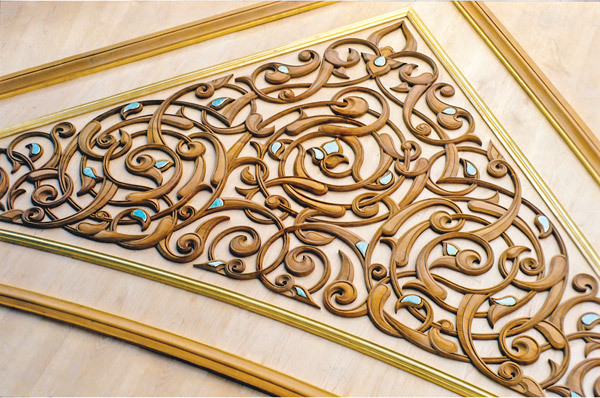 The floral panels for this minbar are both pierced and high relief with inlaid with Persian turquoise. 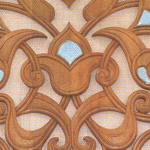 The hand carving of this ornament was undertaken in Rajasthan, India from white Macedonian marble. 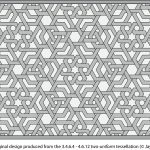 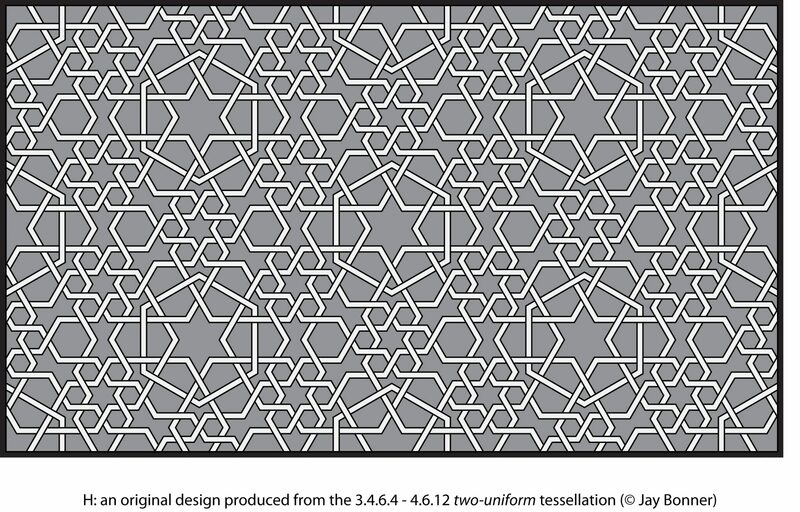 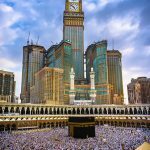 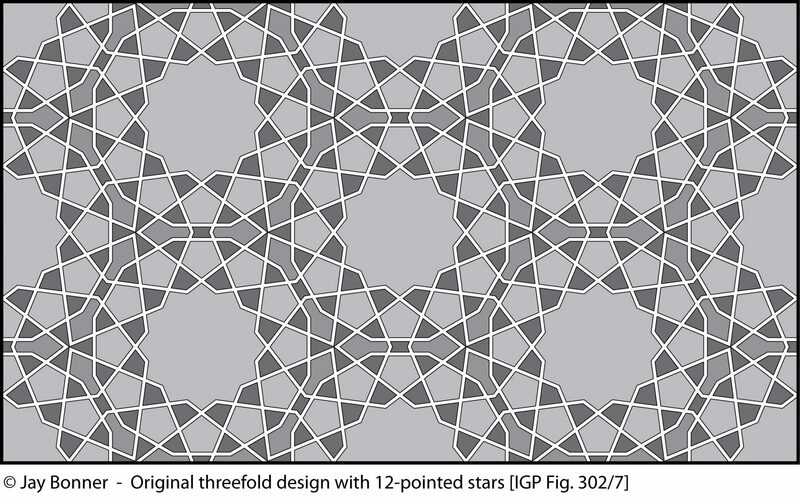 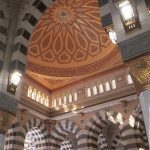 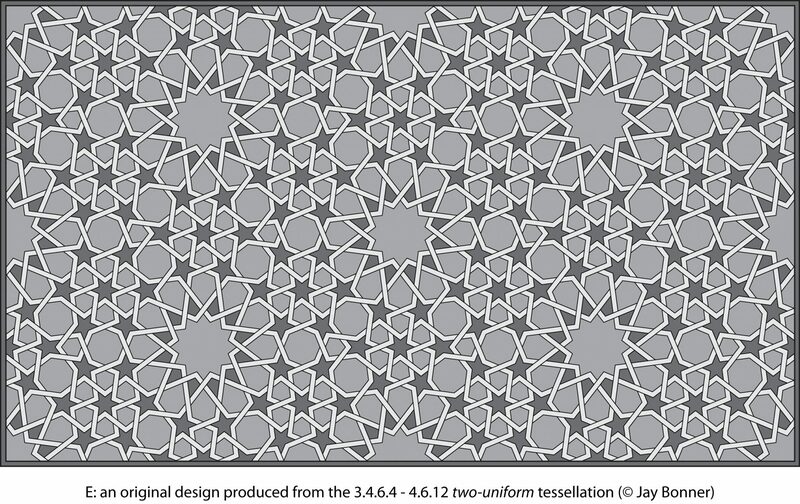 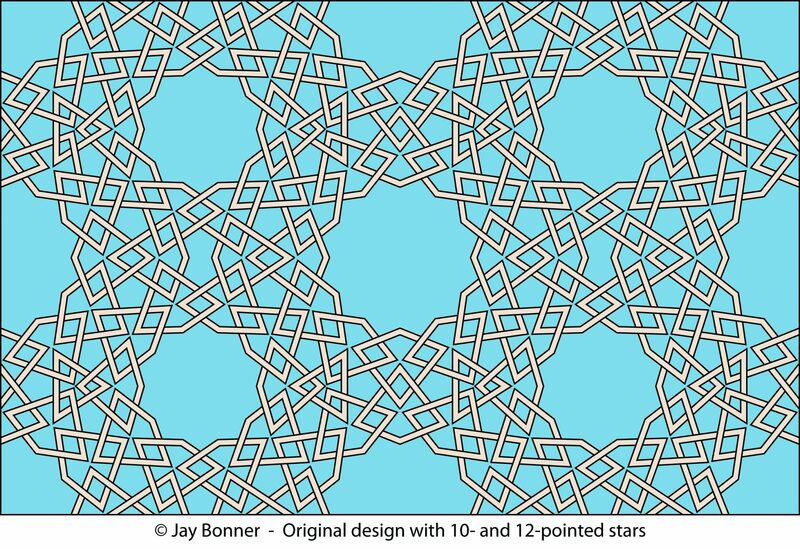 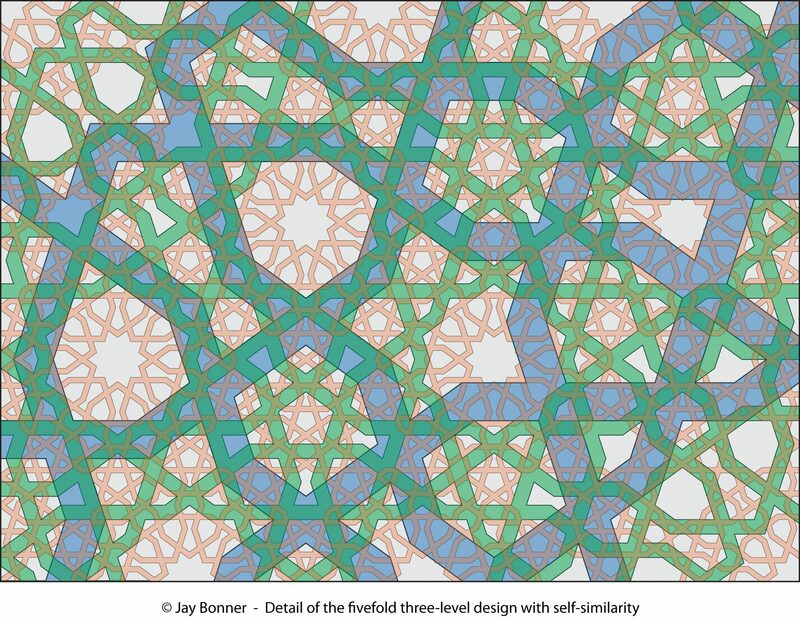 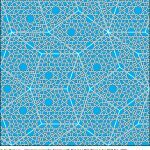 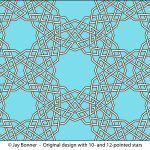 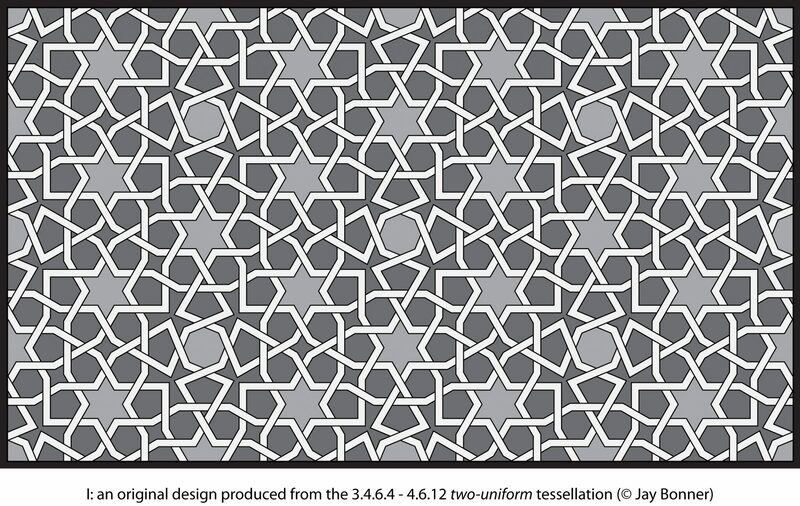 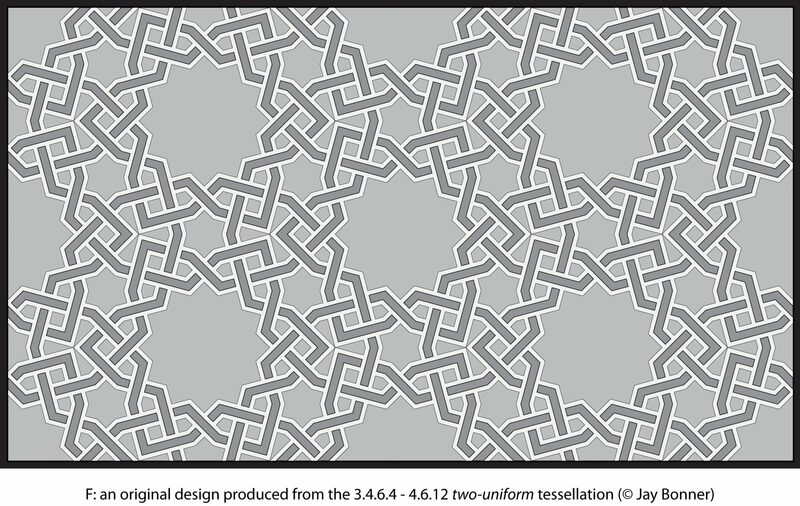 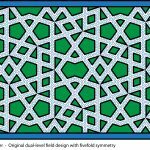 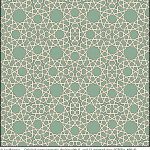 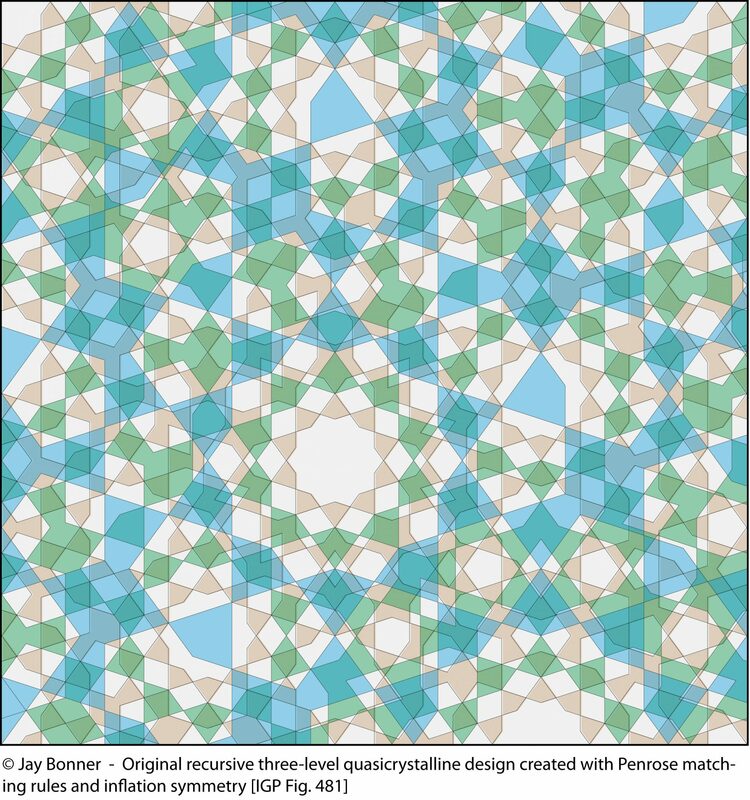 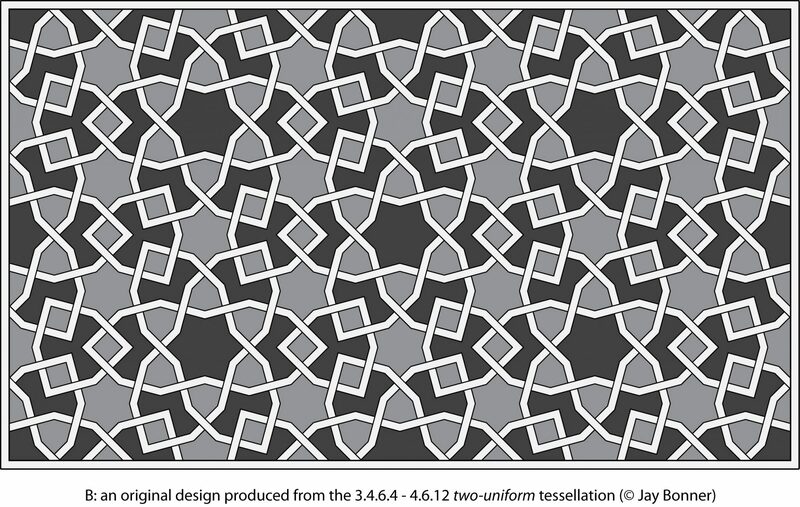 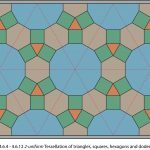 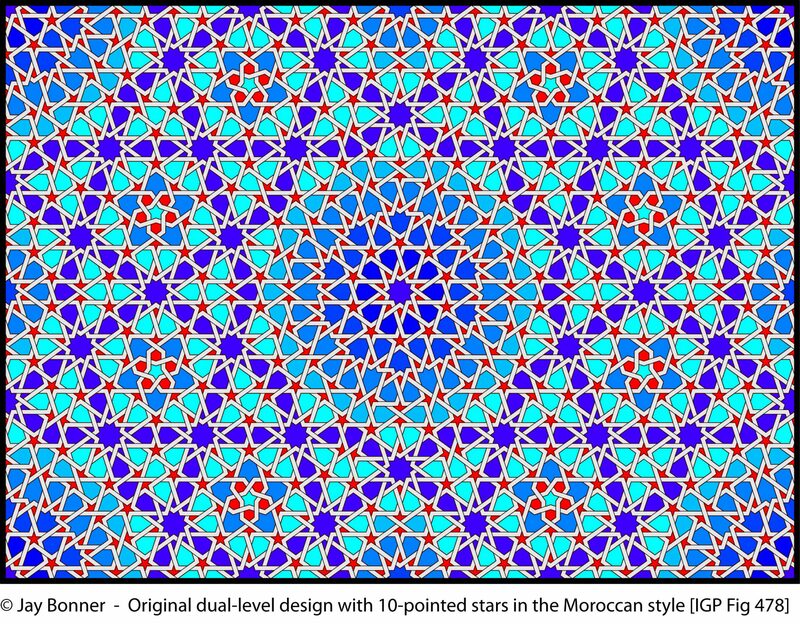 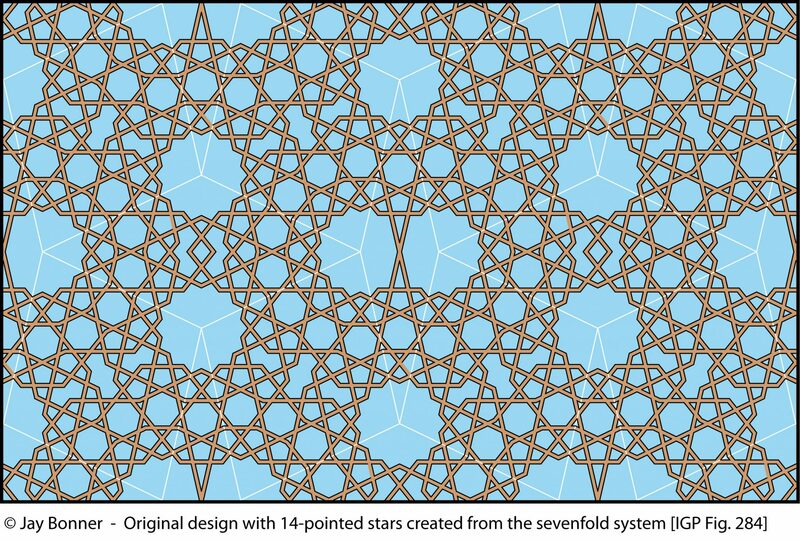 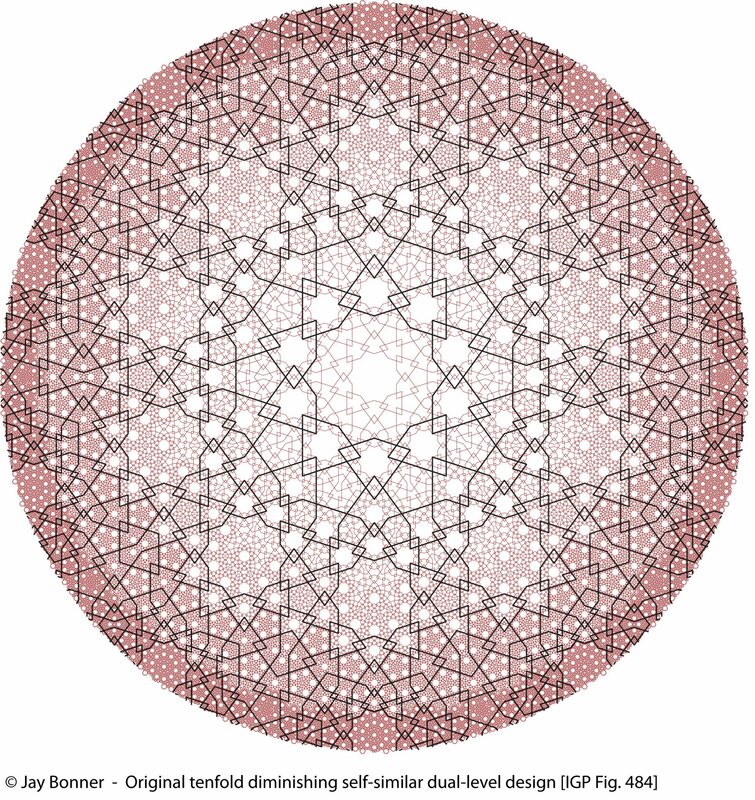 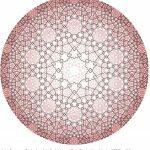 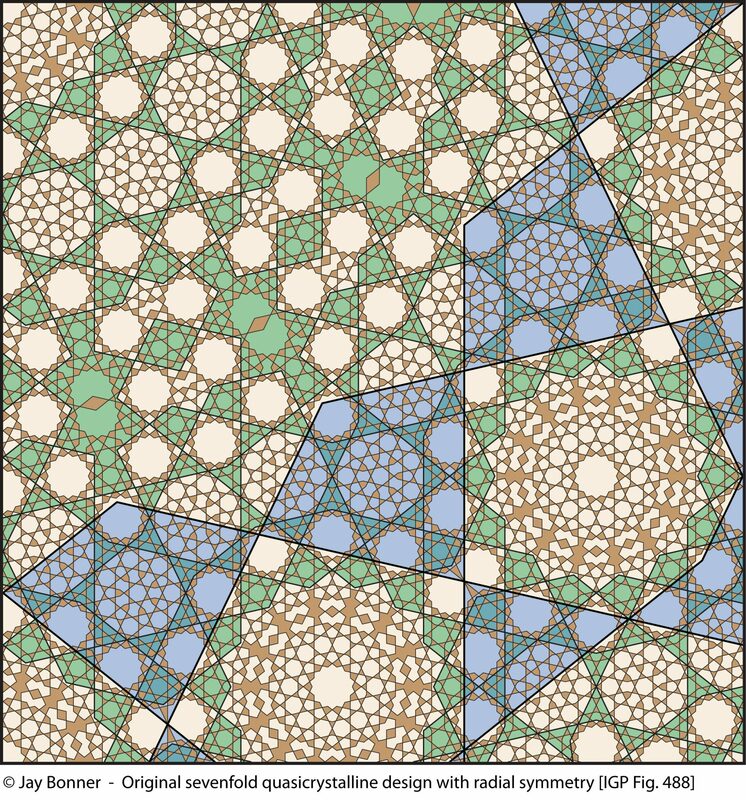 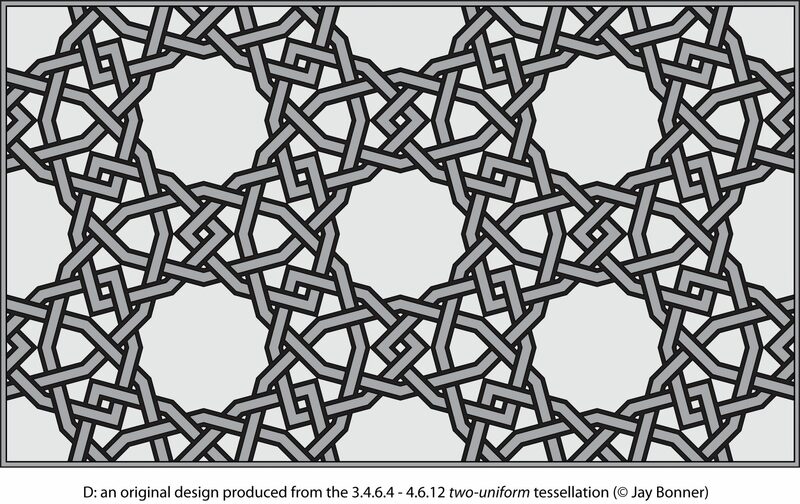 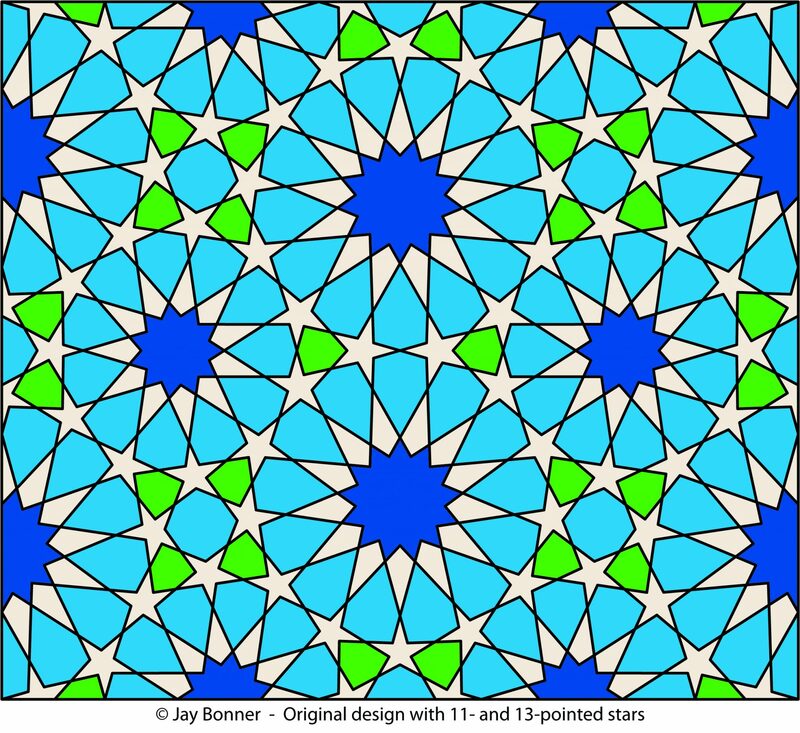 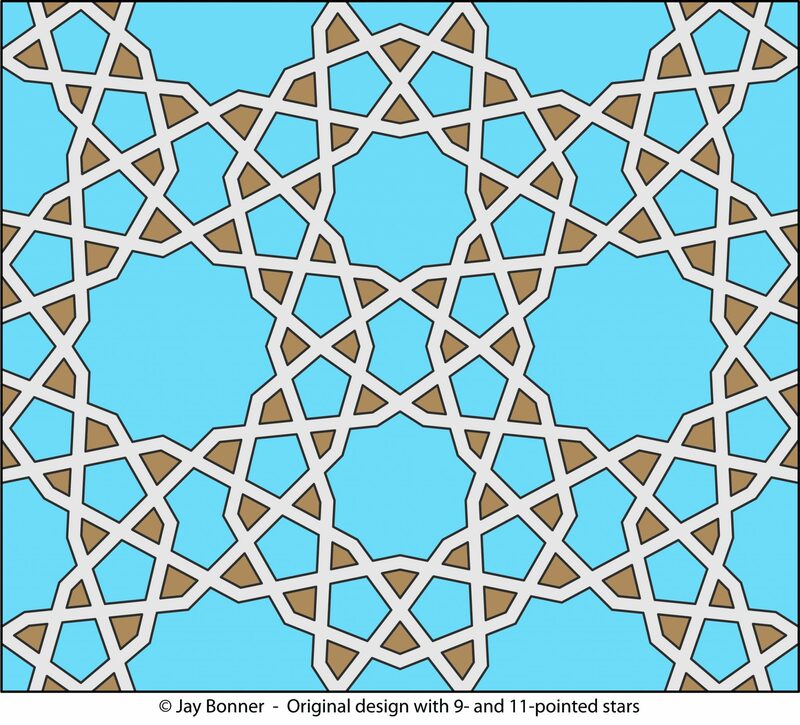 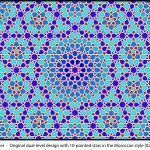 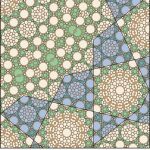 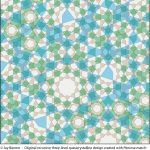 Jay Bonner was contracted as the senior ornamental design consultant for the Shamiyya Expansion of the Grand Mosque in Mecca (al-Masjid al-Haram): 2011-12. 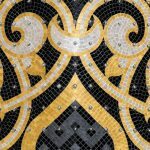 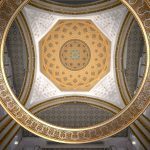 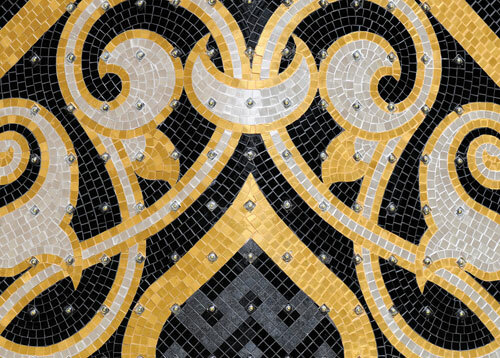 This 20-month contract included diverse architectural features, including: domes, the multiple 20-meter ornamental screens of the exterior façade, the wood entry doors, and the grand chandelier in the Royal Entry Hall. 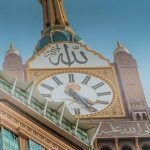 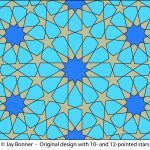 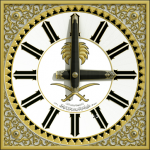 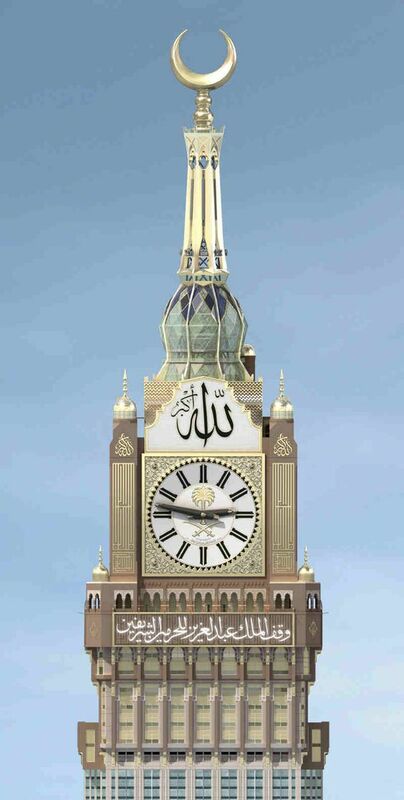 Jay Bonner designed the four Clock Faces for the Abraj Al-Bait Clock Tower in Mecca, Saudi Arabia: 2007-08. 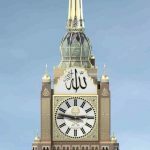 At 43-meters in height, these four clocks that surmount this tower are the largest in the world. 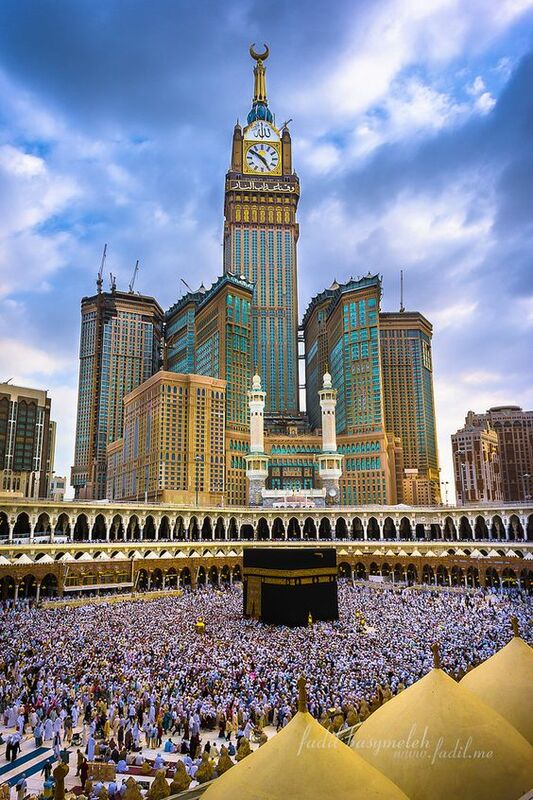 At approximately 600 meters, it is also the tallest clock tower, and the third tallest building in the world. 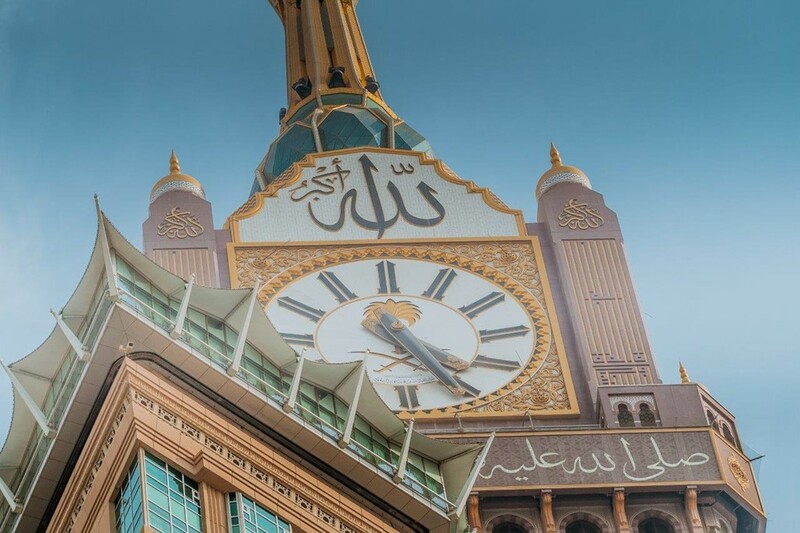 This tower is part of the Abraj Al-Bait Tower complex of five towers. 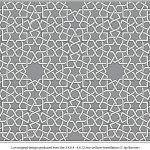 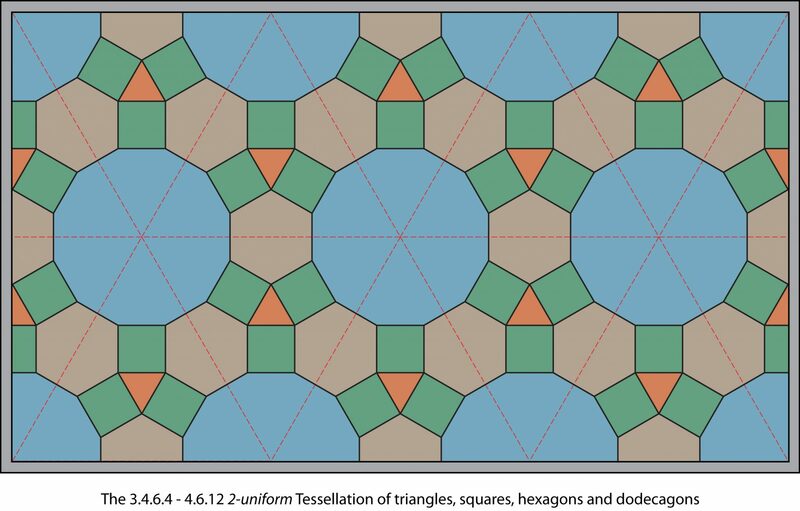 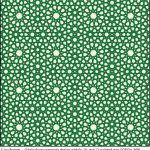 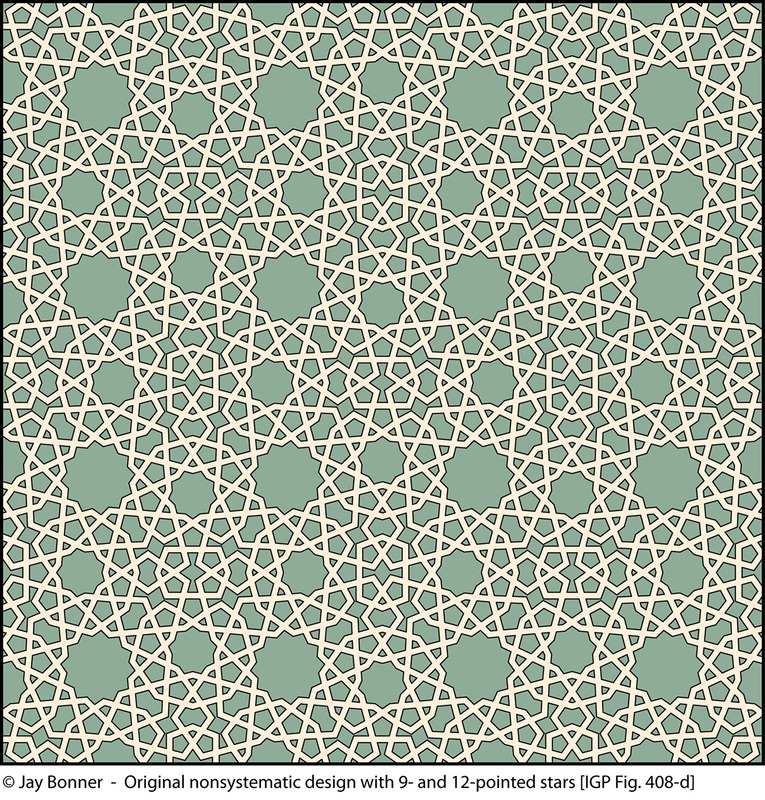 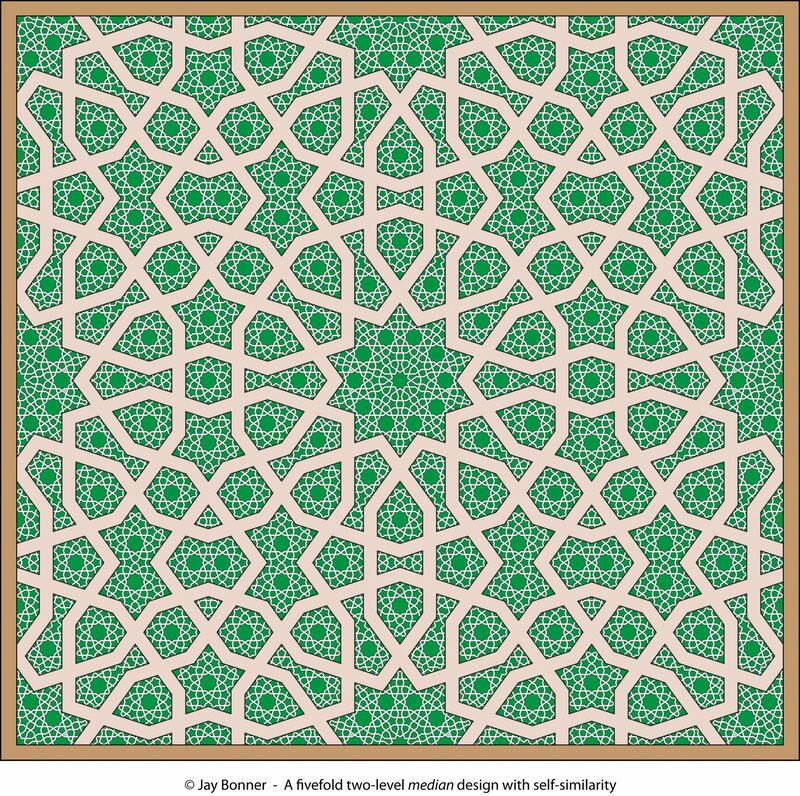 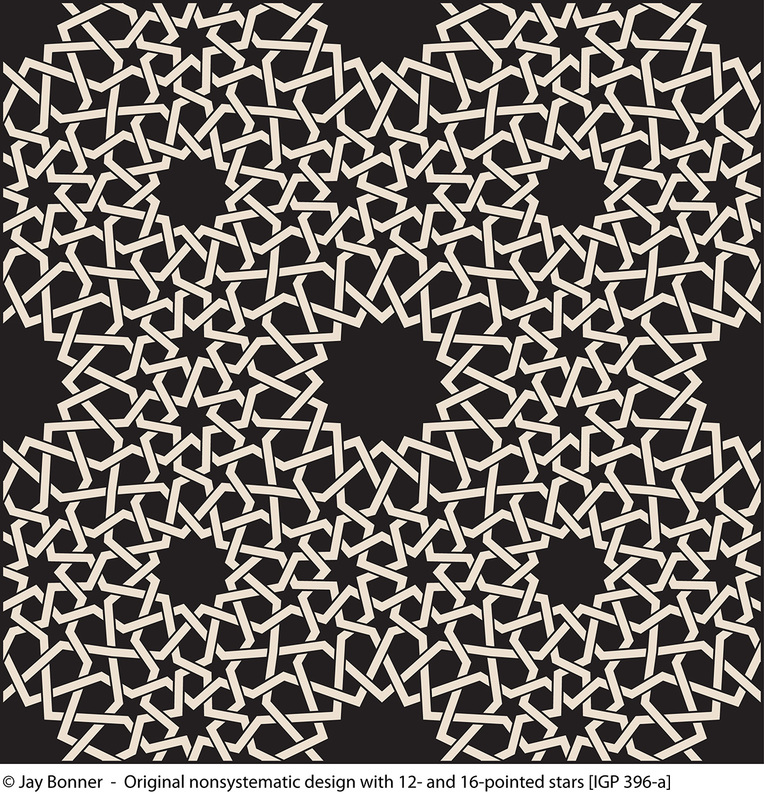 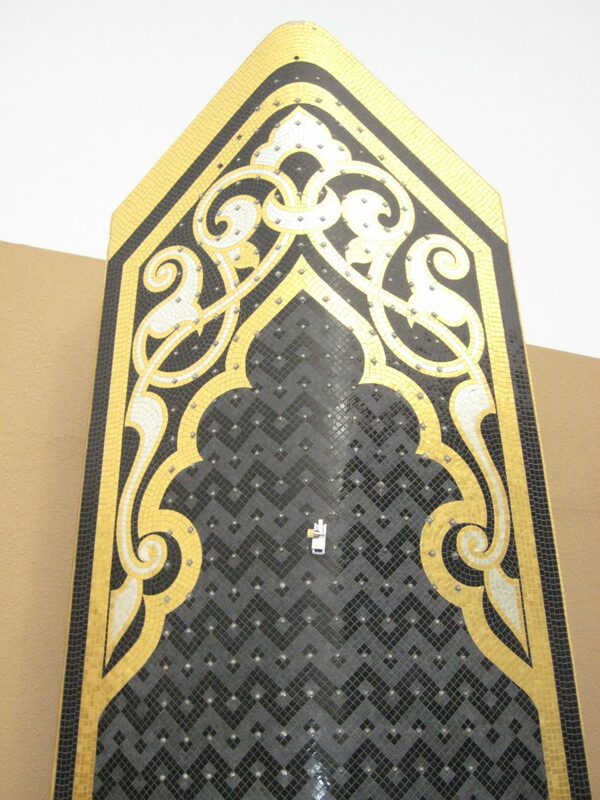 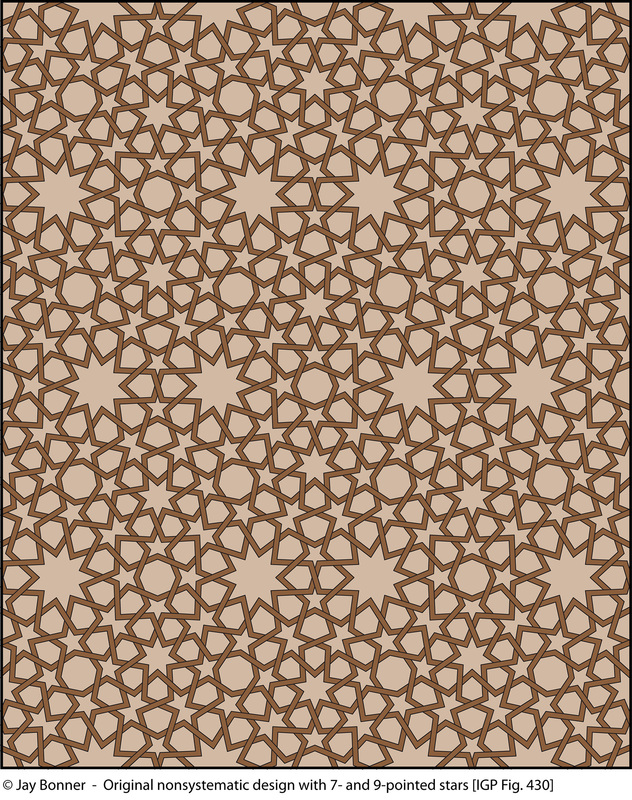 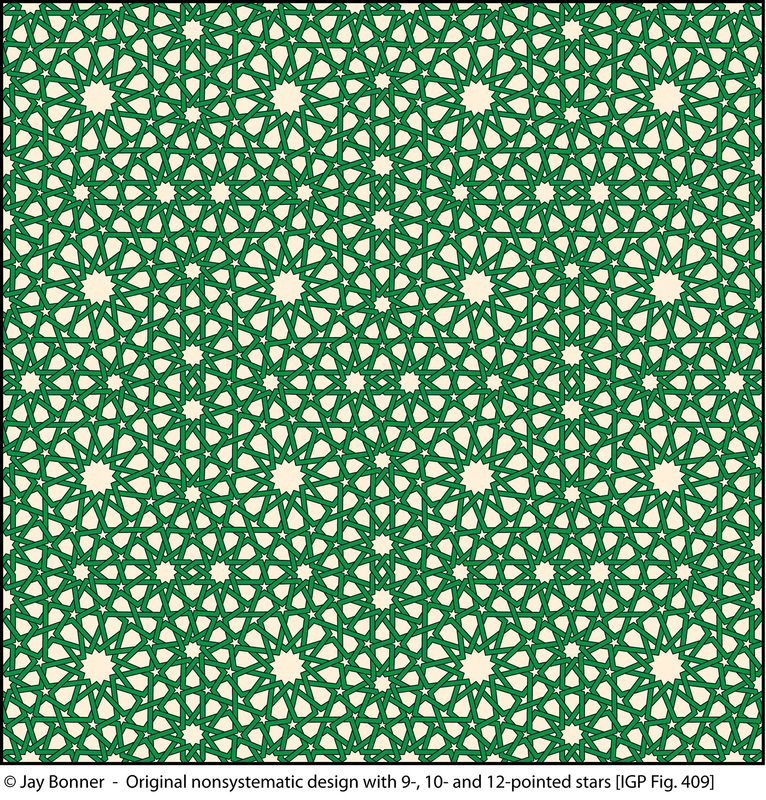 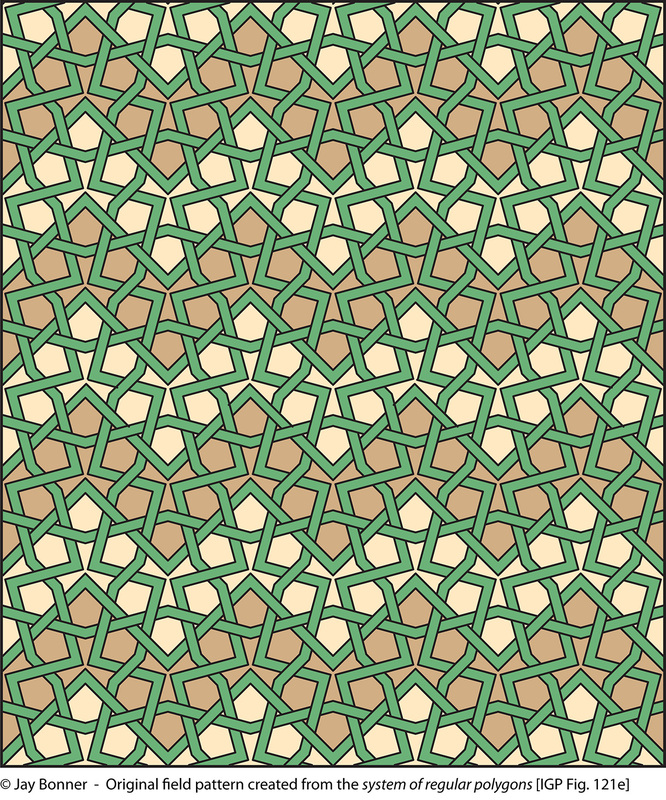 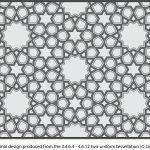 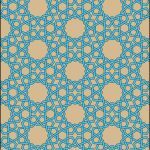 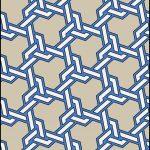 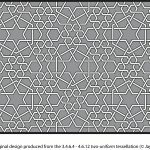 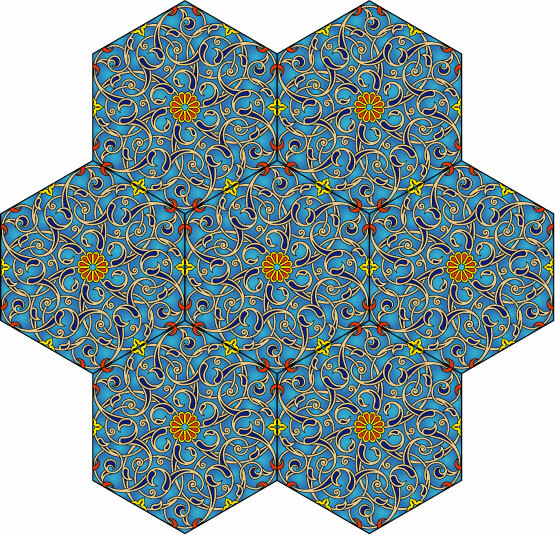 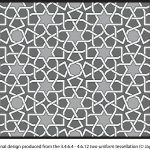 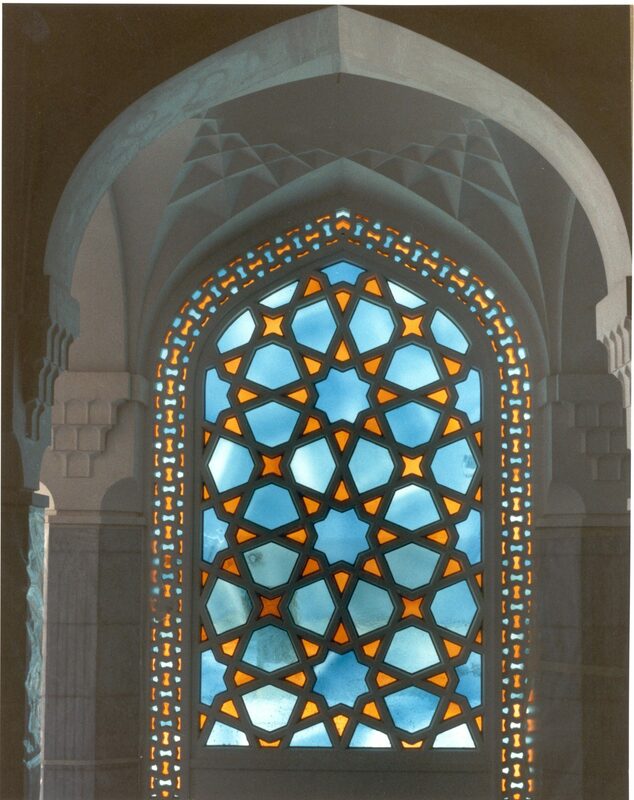 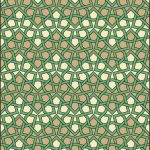 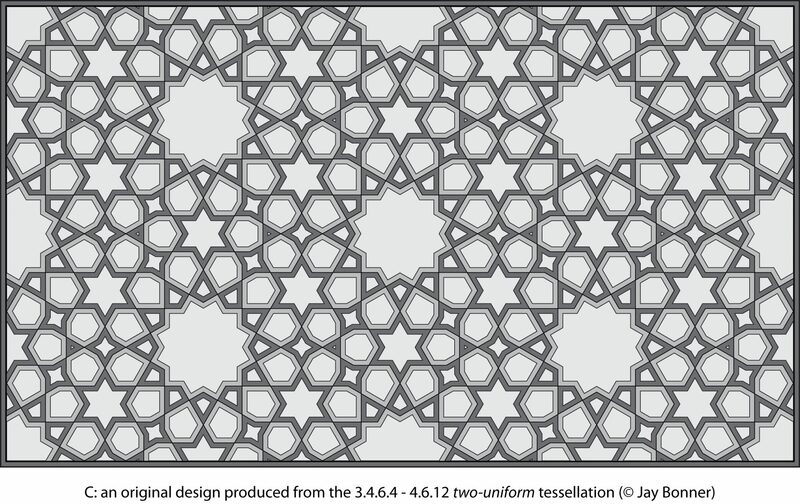 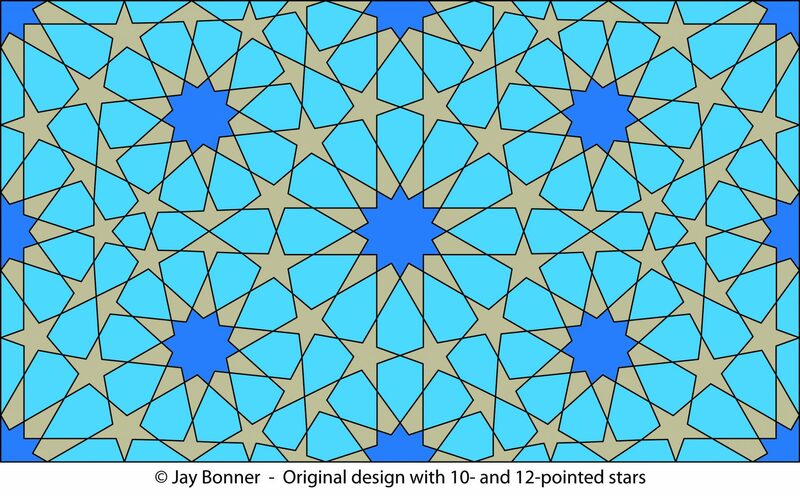 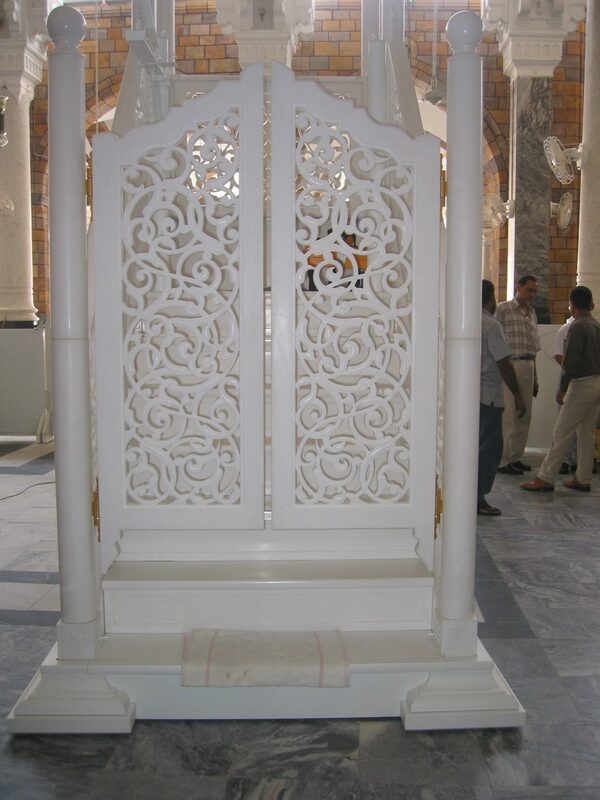 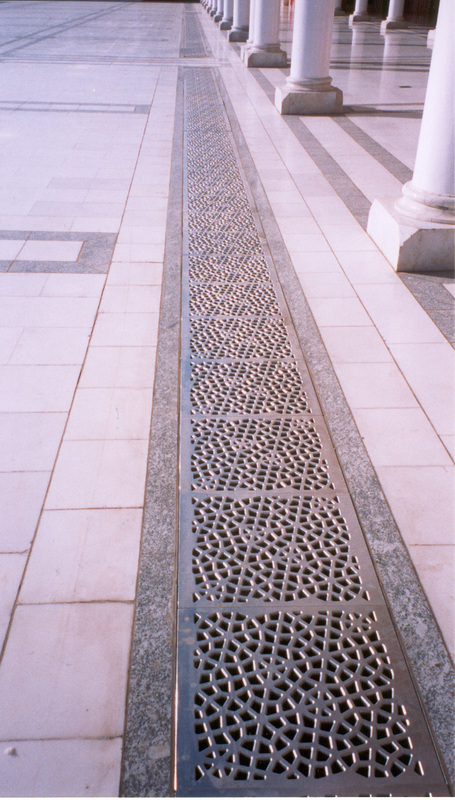 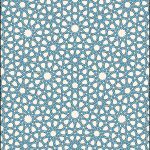 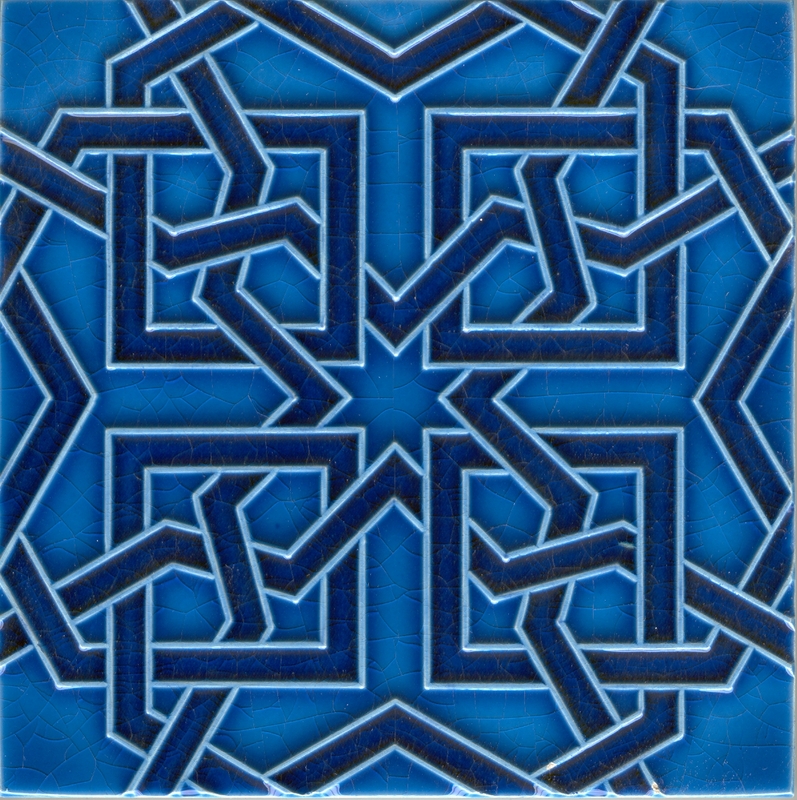 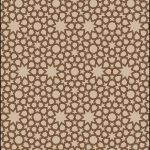 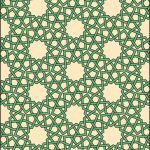 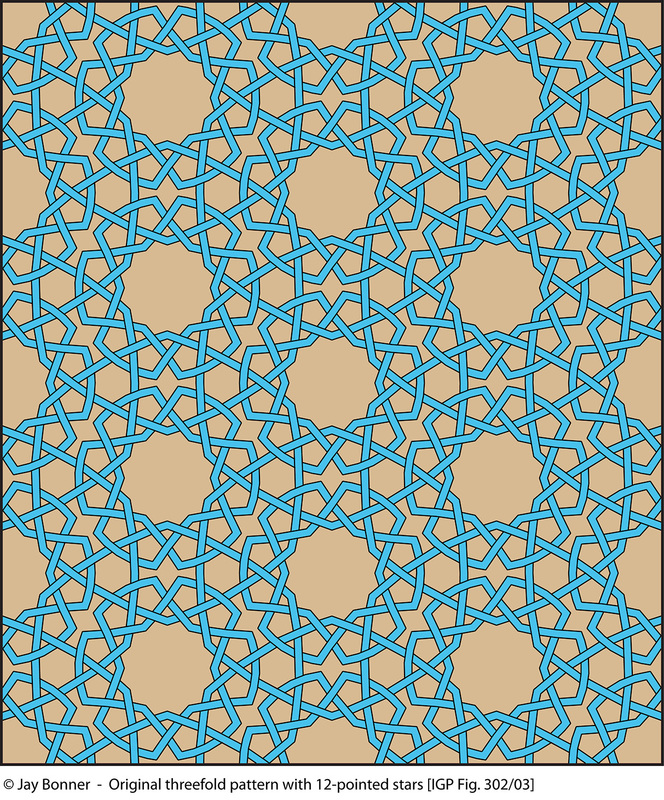 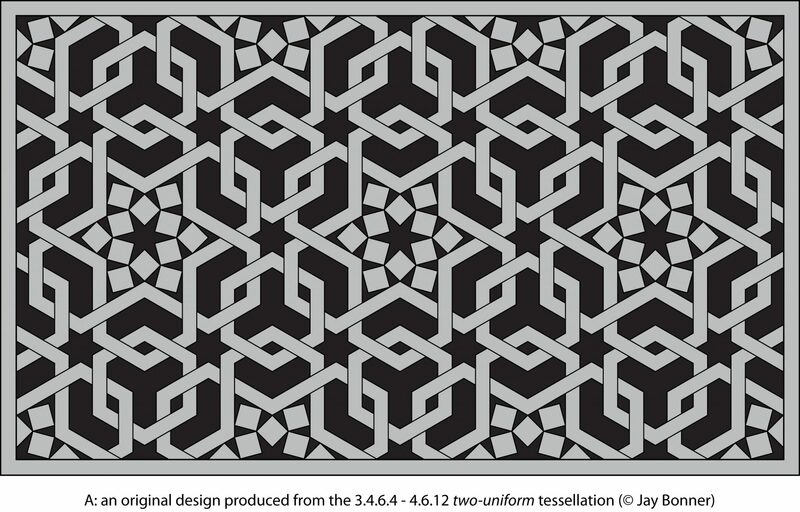 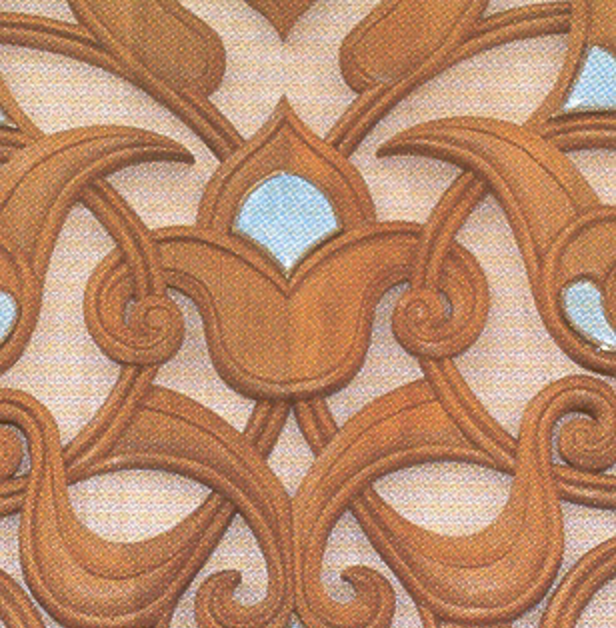 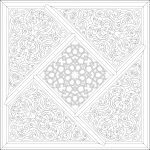 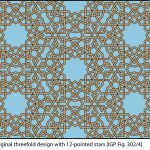 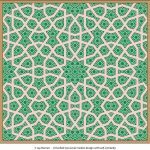 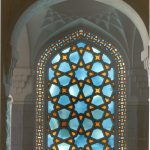 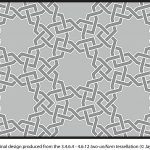 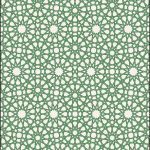 Jay Bonner designed interior ceramic panels for the Data Darbar Mosque and Shrine in Lahore, Pakistan: 1987. 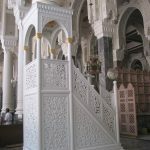 This mosque complex was built at the burial site of the great eleventh century Sufi saint Al-Hujwiri (Hazrat Data Gang Bakhsh). 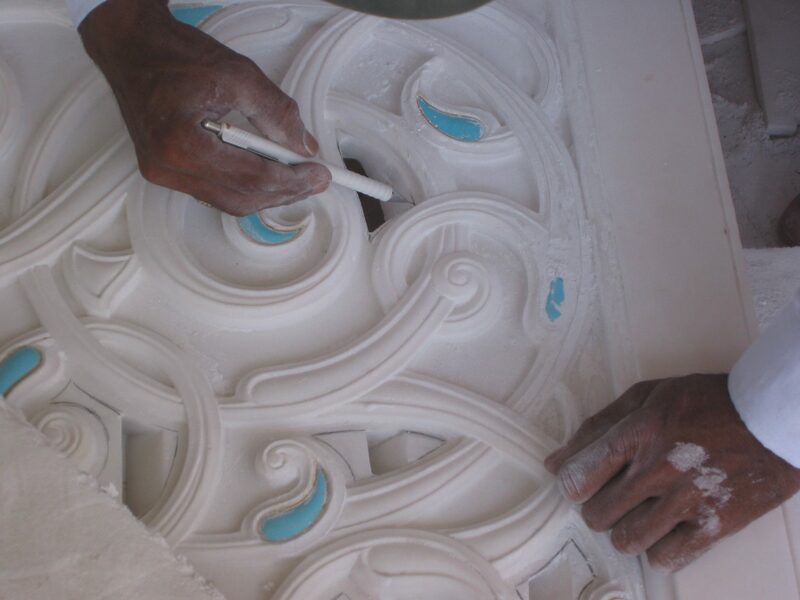 He also provided quality control during manufacture in Istanbul, Turkey. 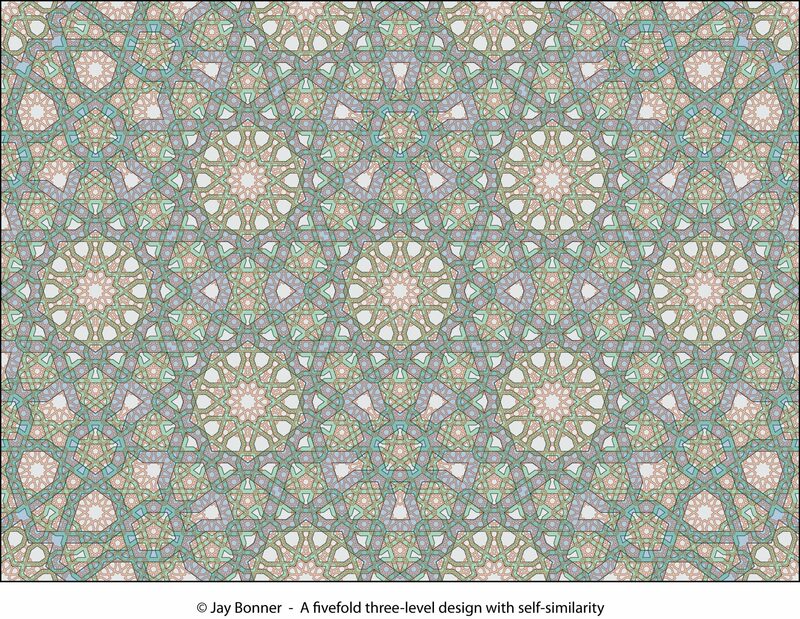 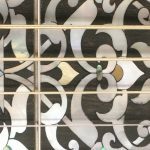 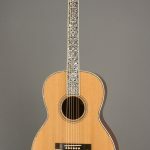 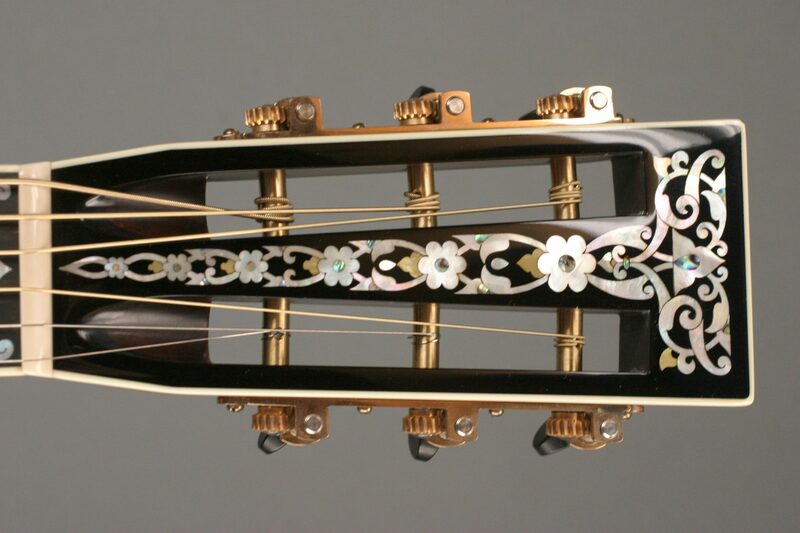 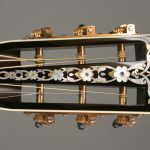 Jay Bonner designed the ornament for two identical custom steel string acoustic guitars made by the Santa Cruz Guitar Company in Santa Cruz, California. 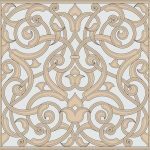 These were made for private clients, and the soundboard was Atlas cedar from the leftover wood from the Prophet’s Mosque domes project. 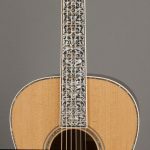 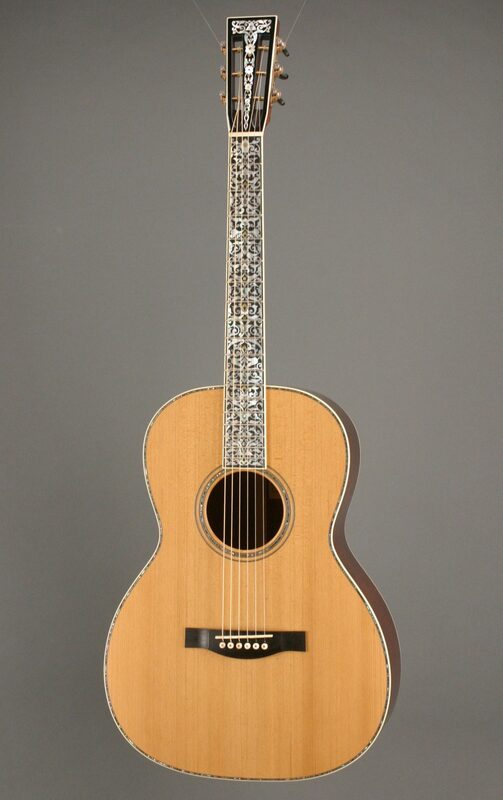 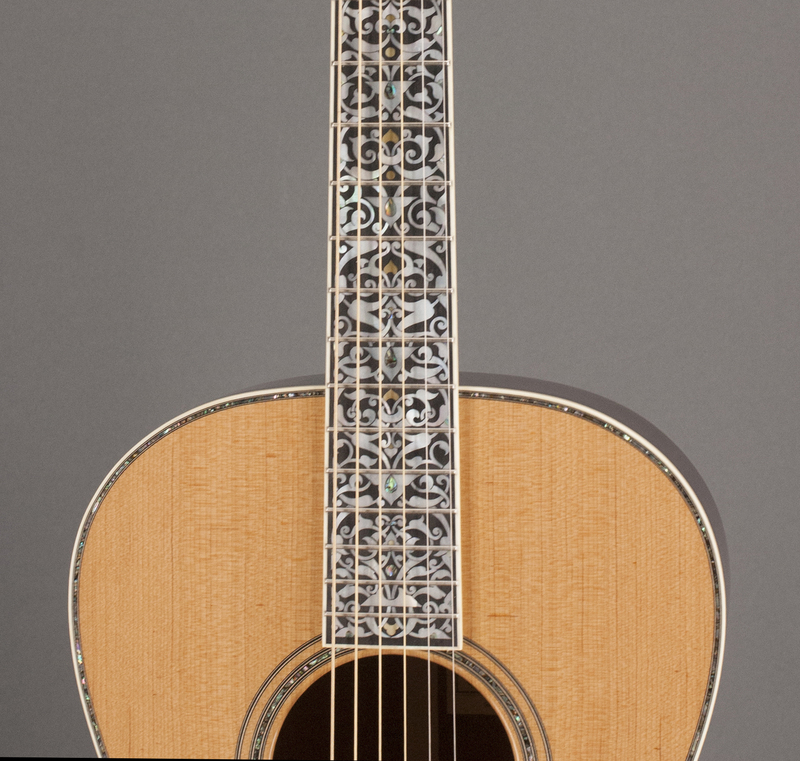 The ebony fretboard and headstock are inlaid with mother-of-pearl by the American inlay artist David Nichols (by hand, with no laser). 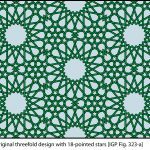 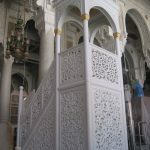 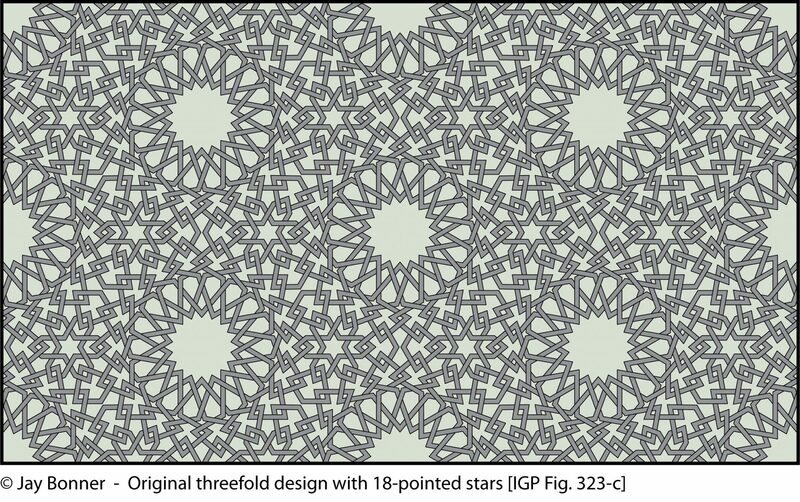 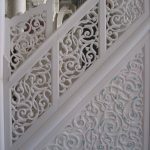 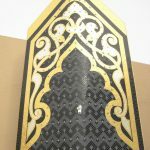 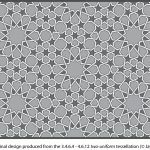 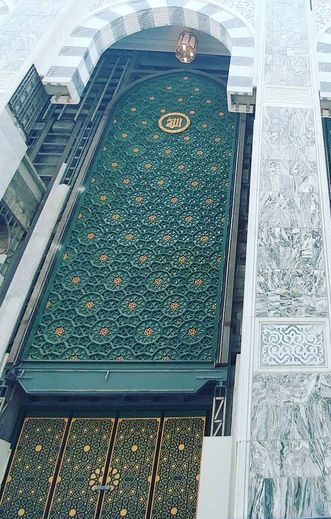 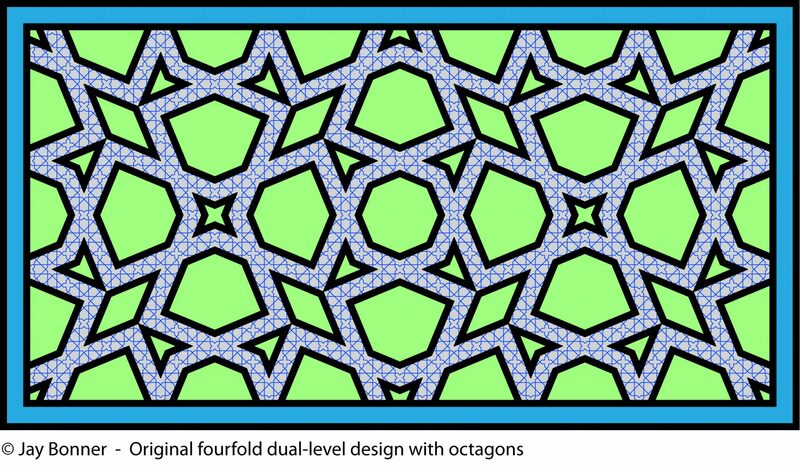 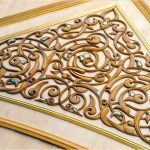 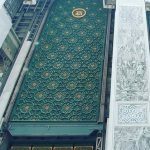 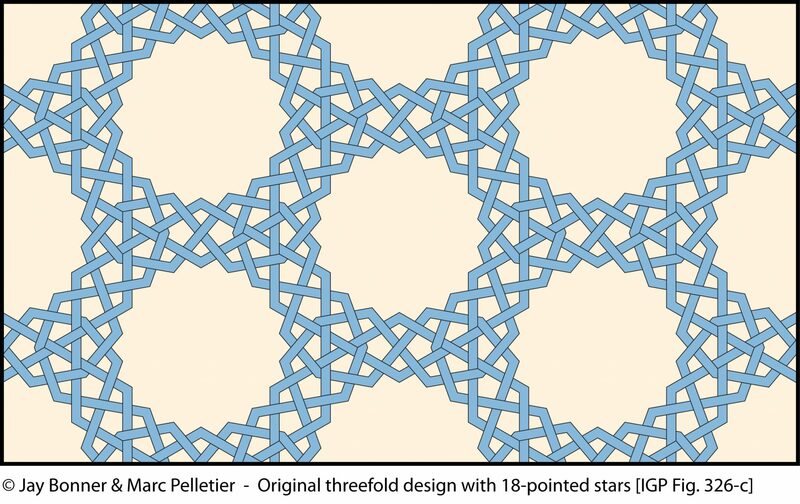 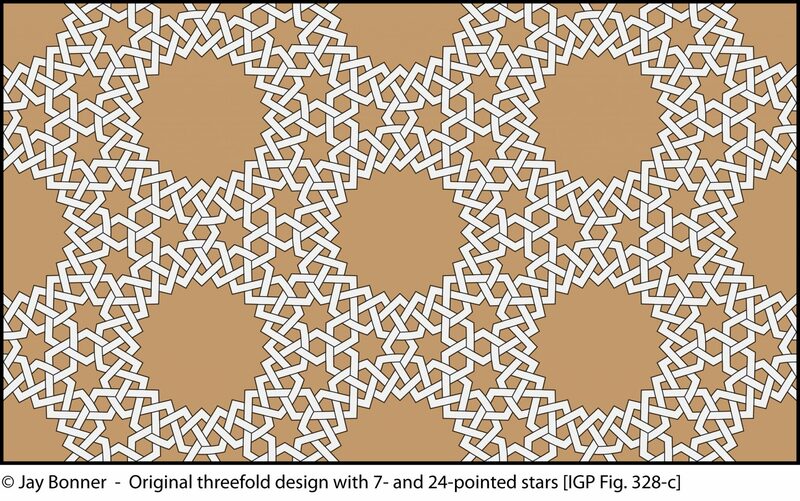 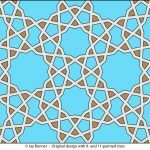 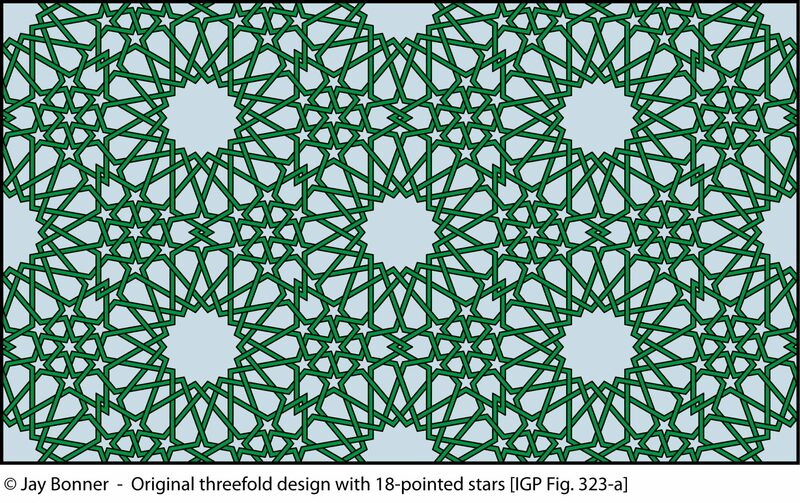 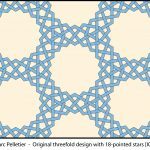 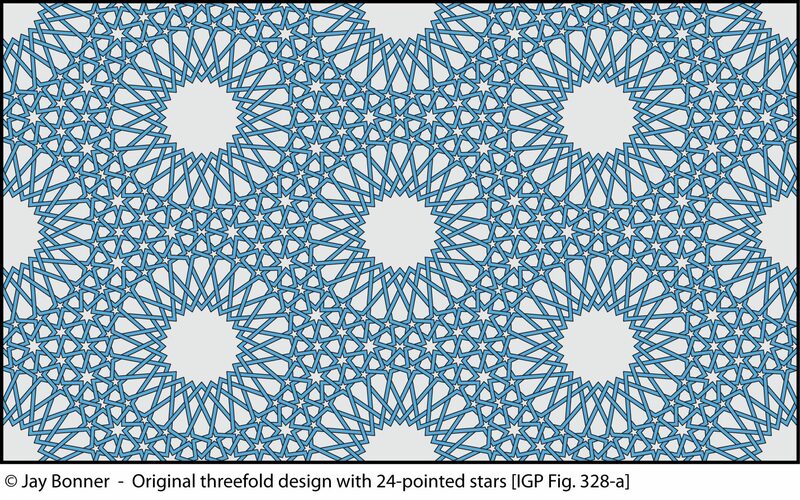 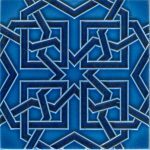 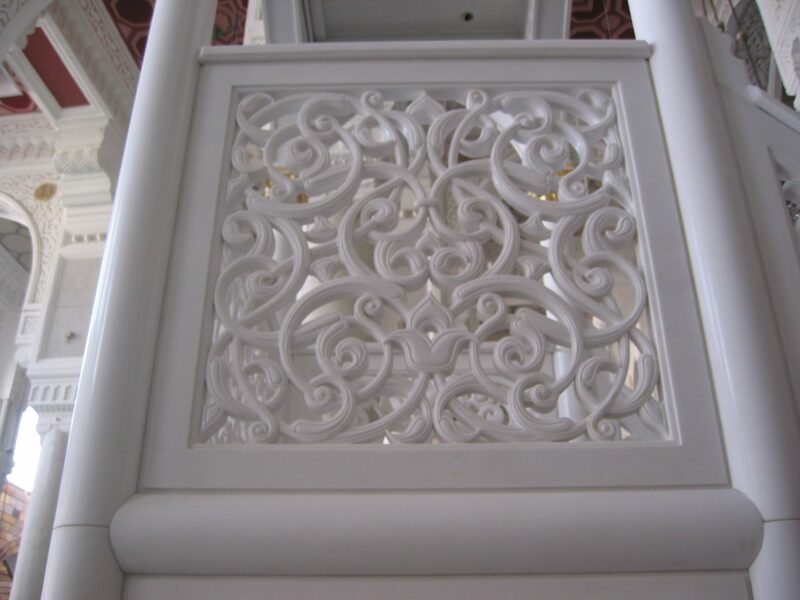 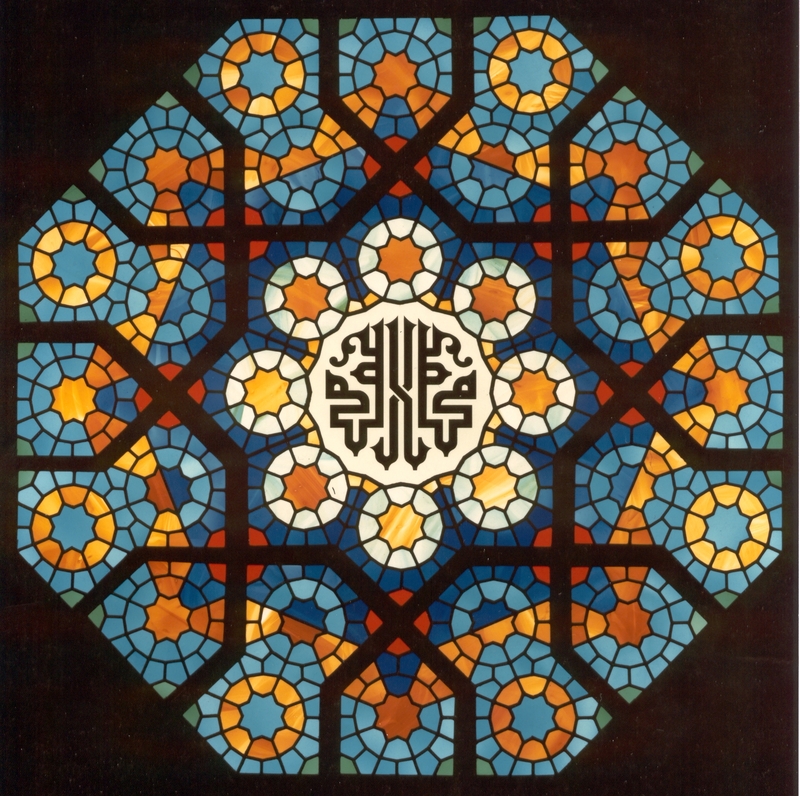 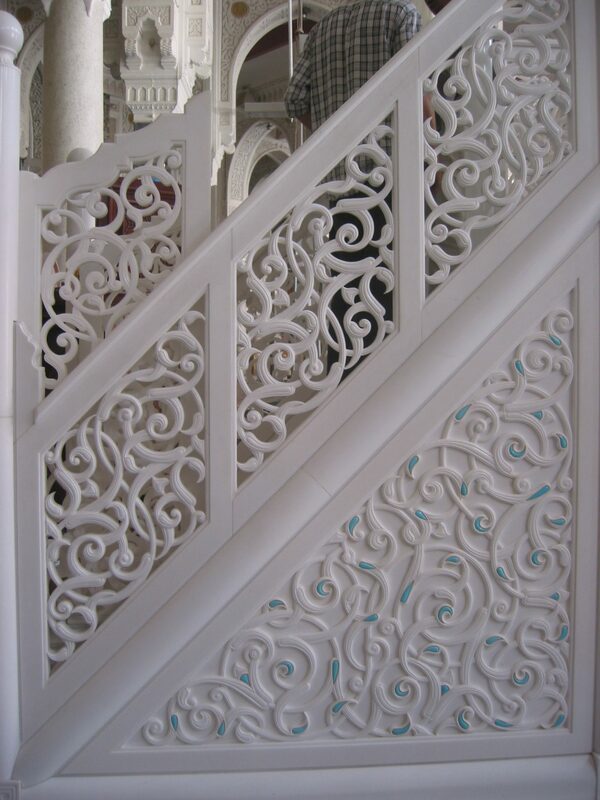 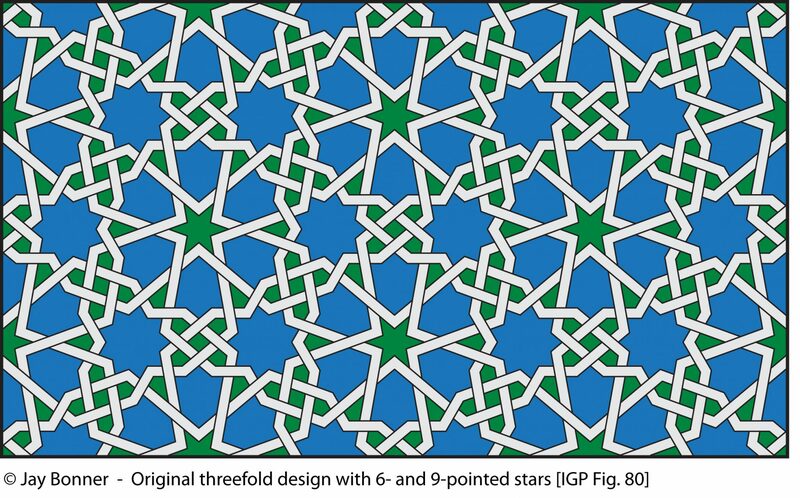 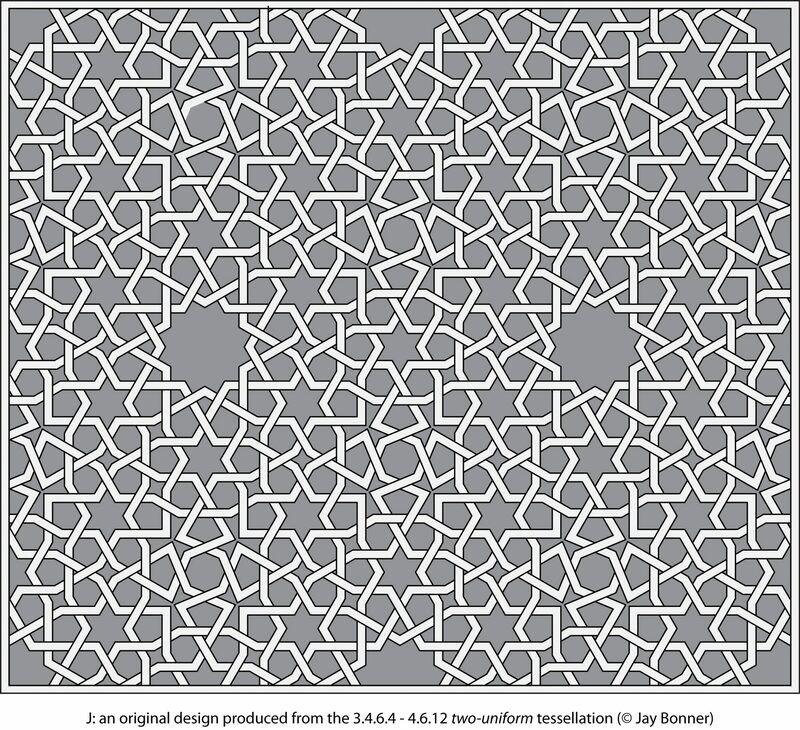 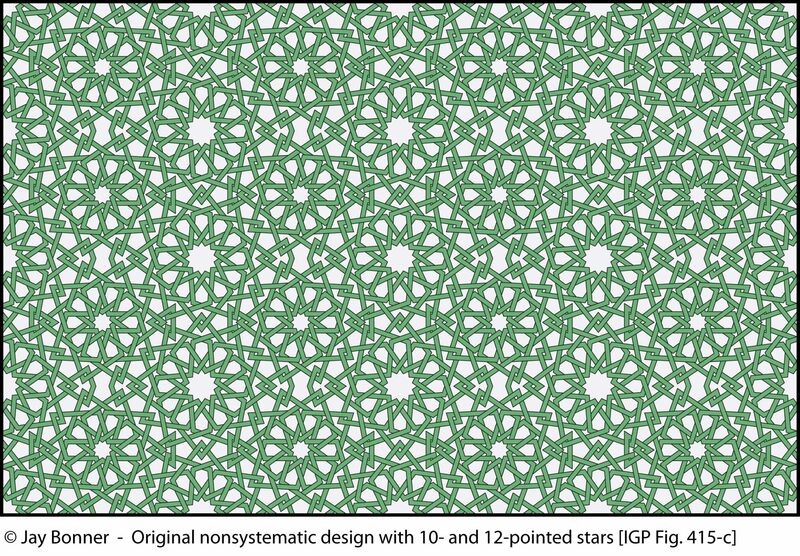 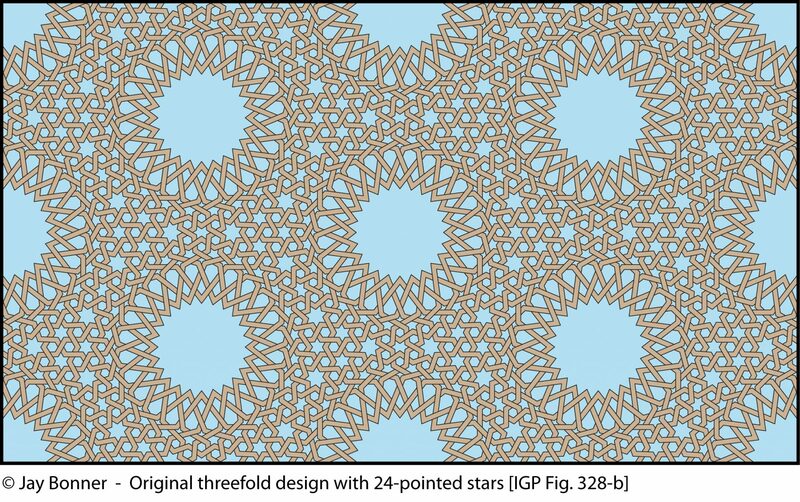 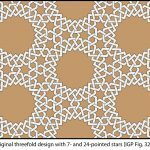 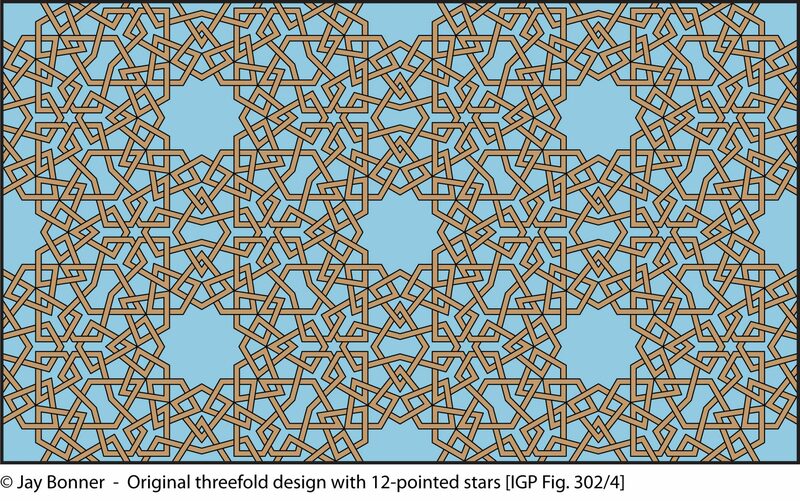 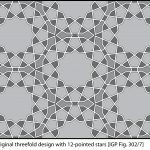 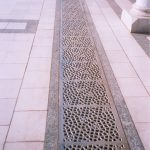 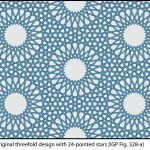 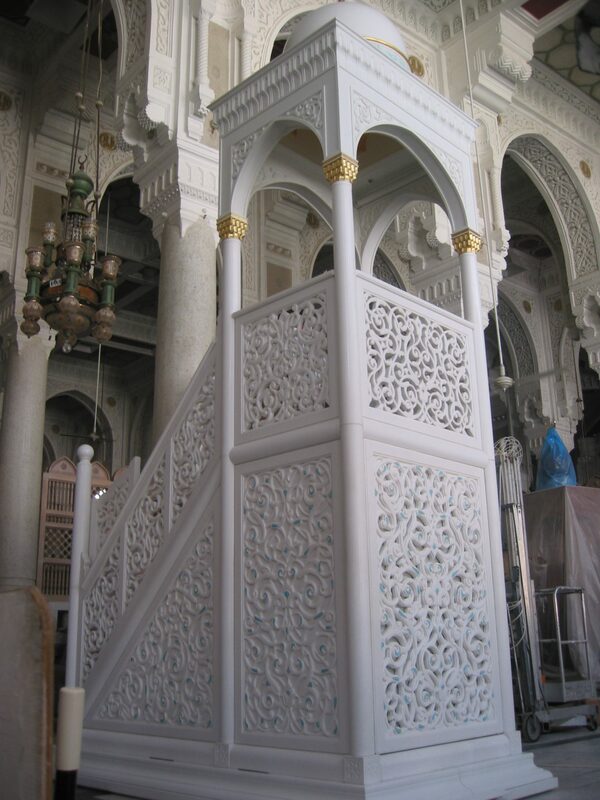 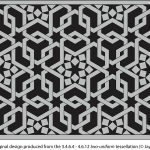 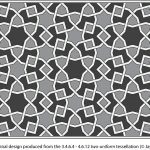 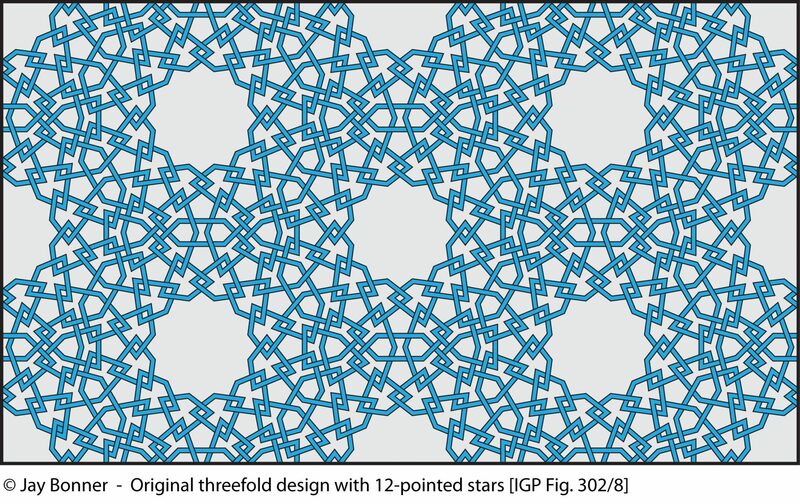 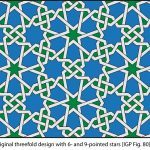 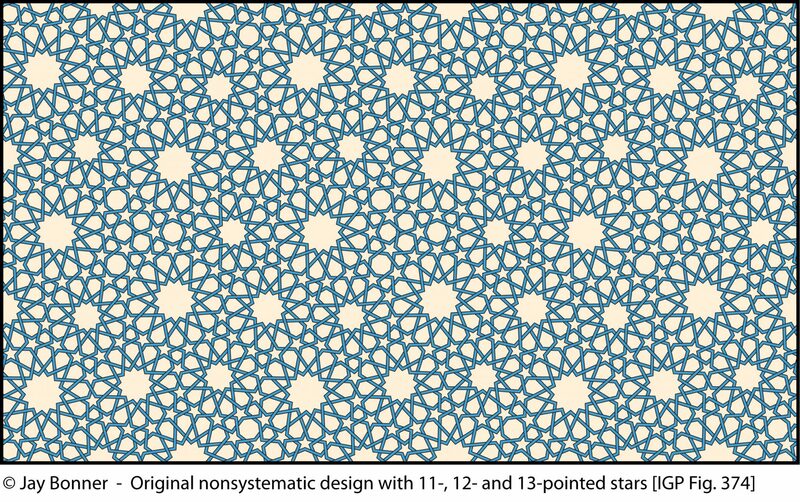 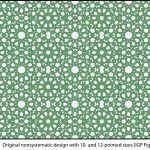 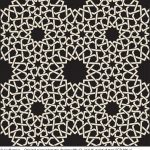 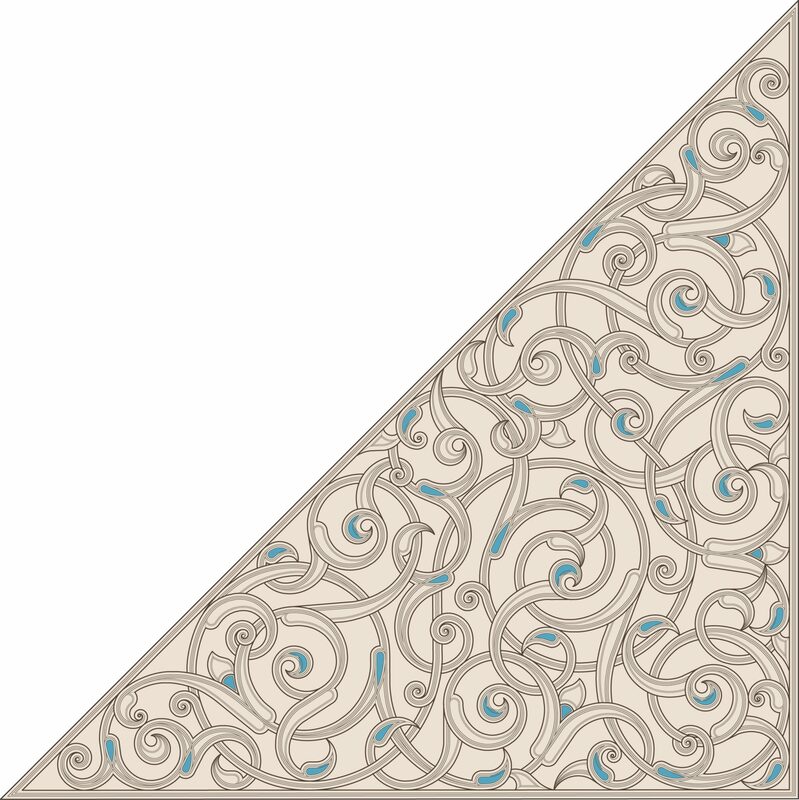 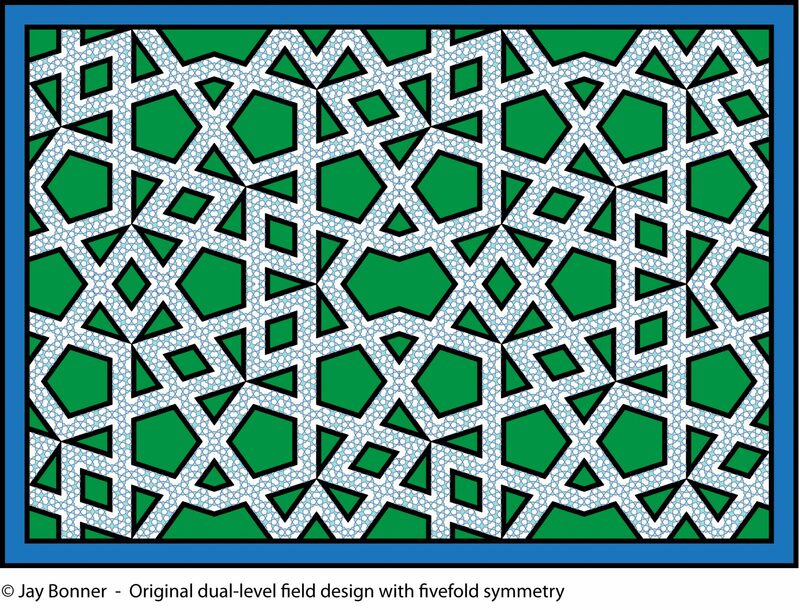 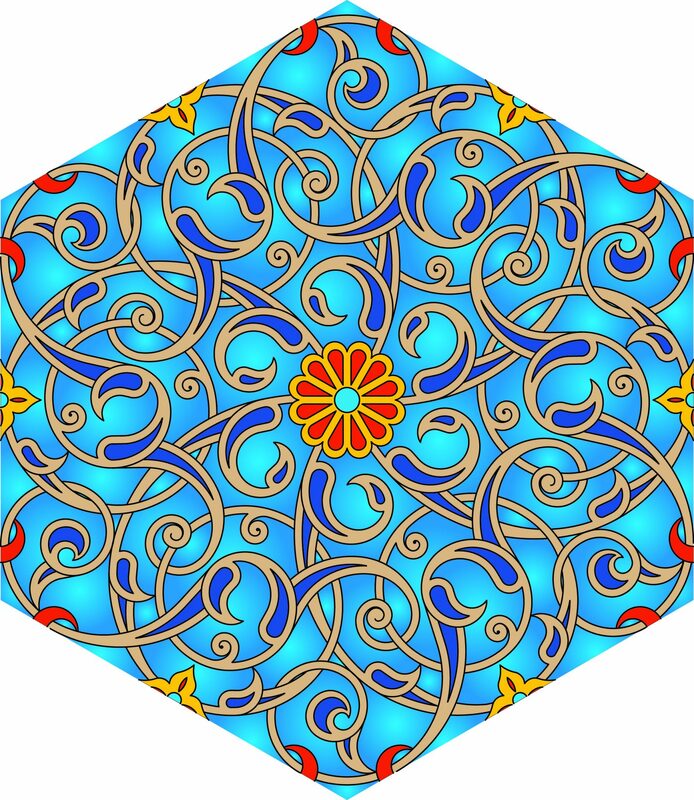 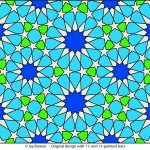 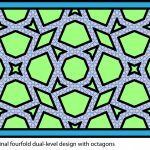 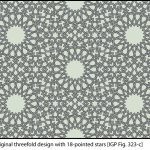 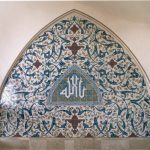 The floral inlay is in the same style first developed for the 27 Sliding Dome of the Prophet’s Mosque in Medina, Saudi Arabia (see below).